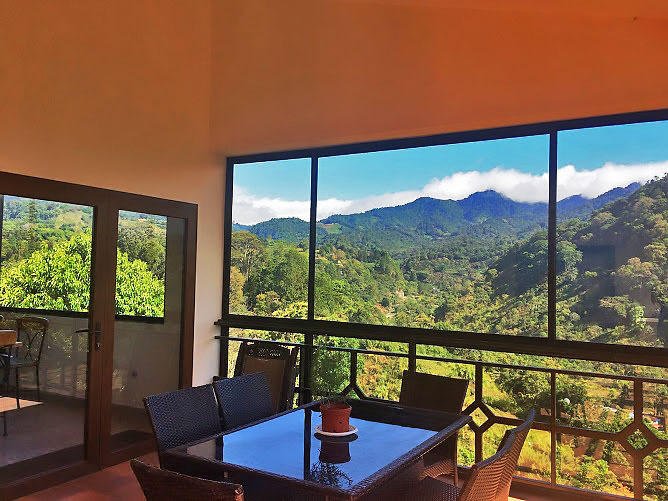 As you reach the property, you can’t help but be drawn to the lush richness of the valley scene that frames the house. 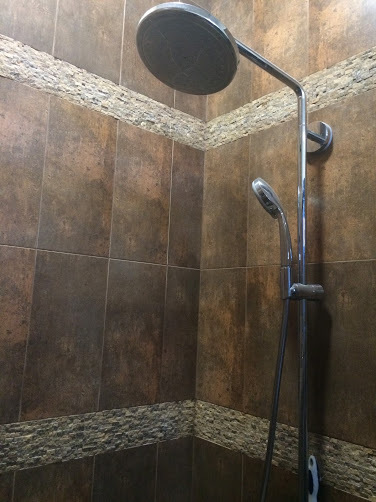 The continental divide is there on your doorstep. 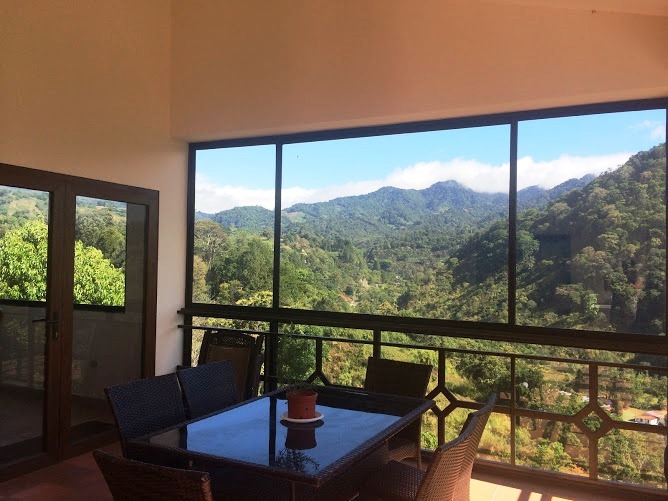 Step into the residence to find the view there too. 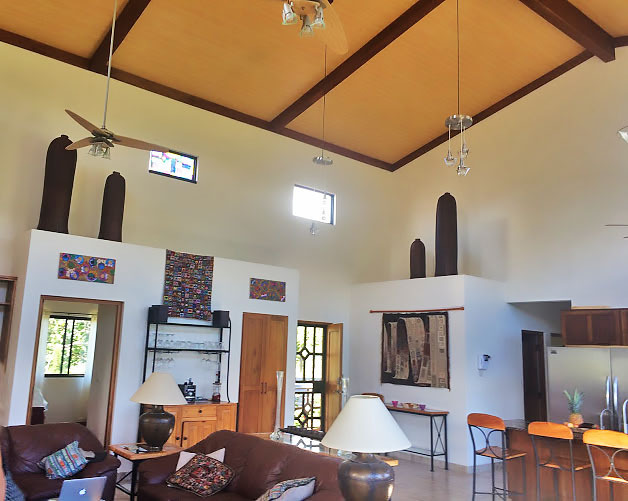 Picture windows and tall ceilings with lots more glass ensure that you will enjoy the surrounding beauty from inside. 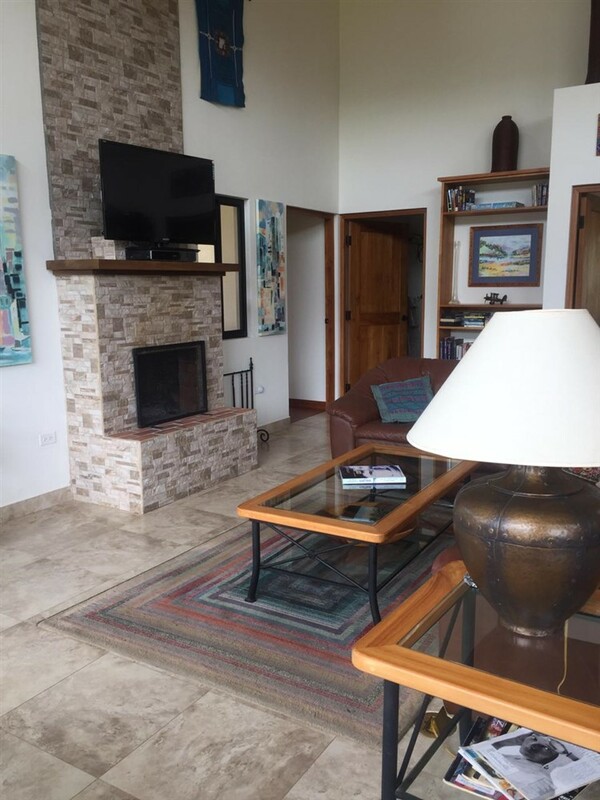 Stylish floor tiles and a pretty fireplace enhance the spacious room. 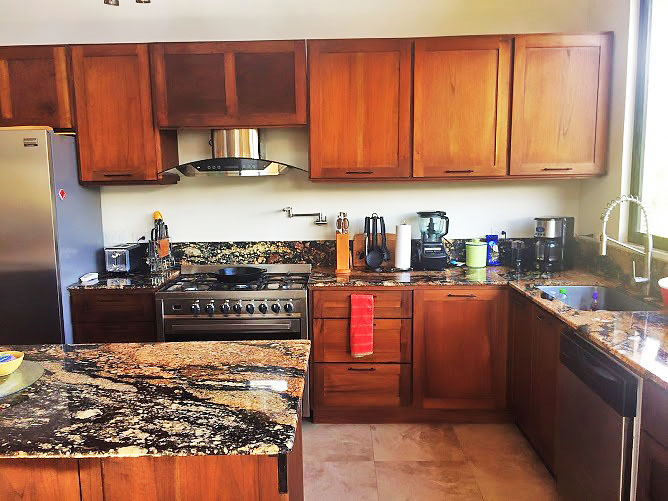 The kitchen is right there ensuring the chef is part of the action. 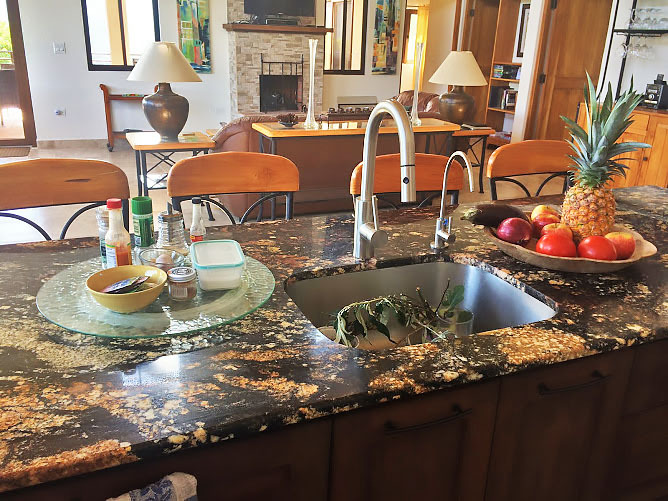 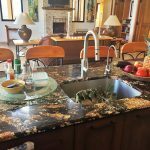 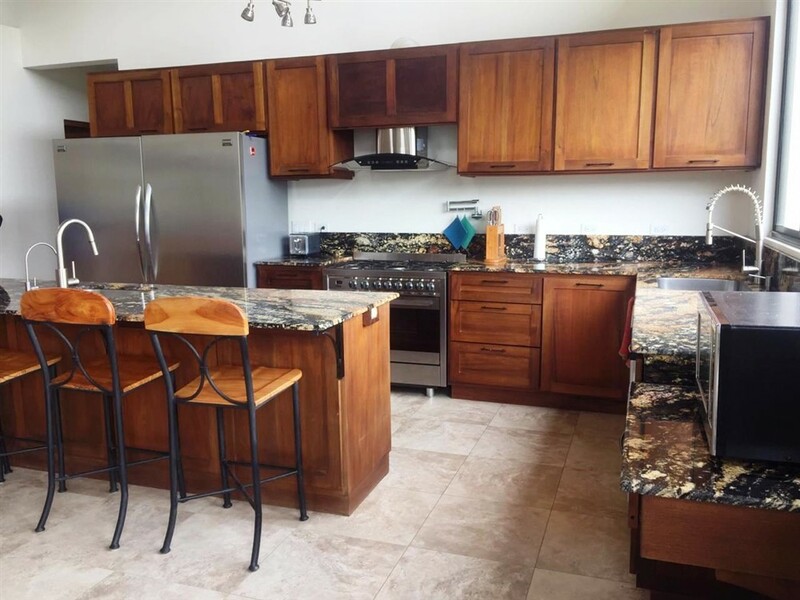 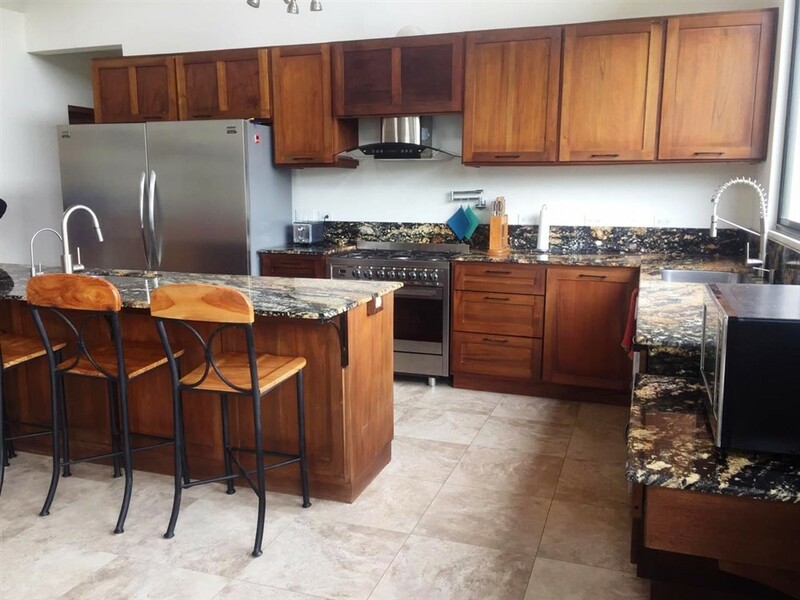 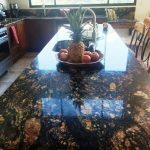 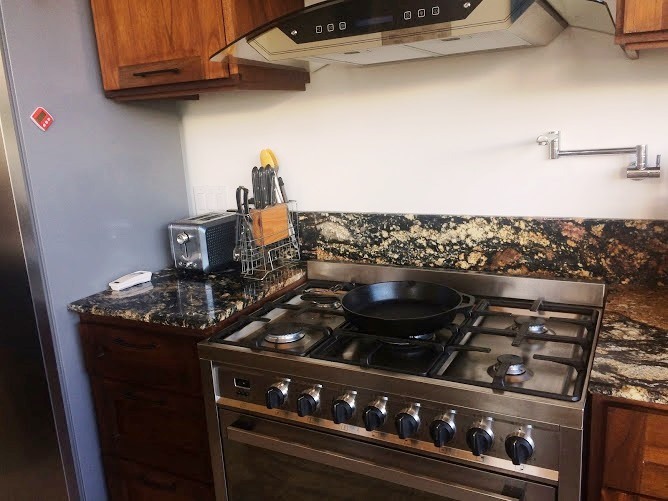 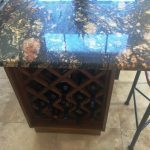 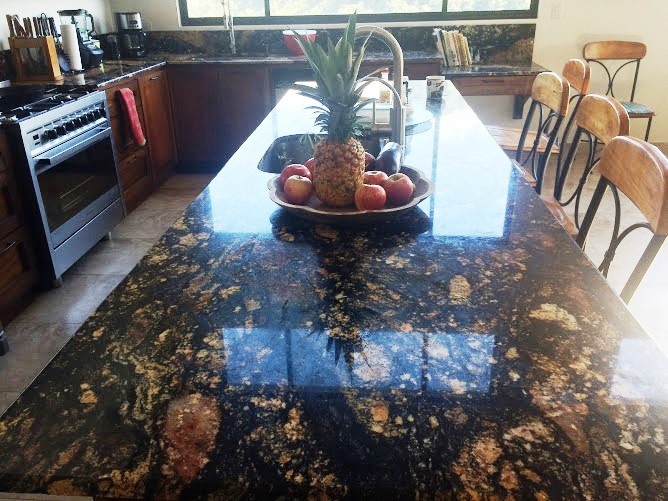 Intensely colored granite countertops bring the kitchen alive. 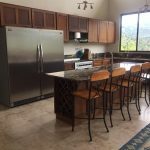 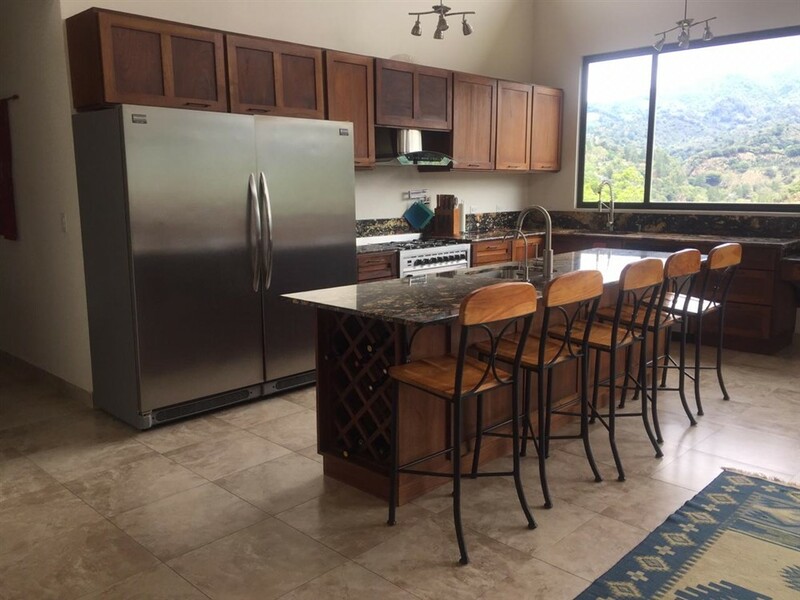 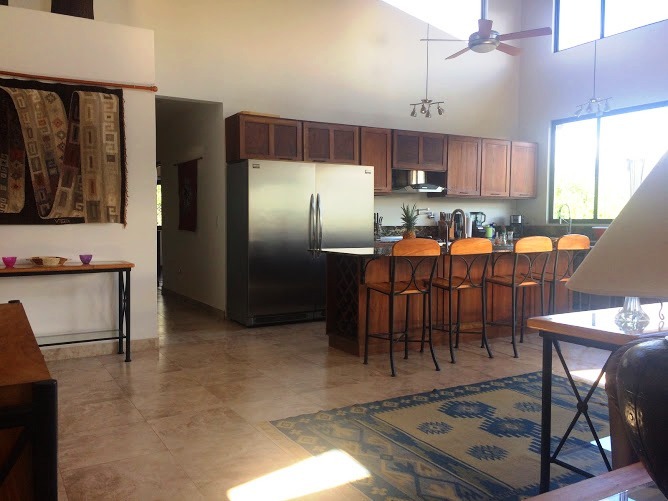 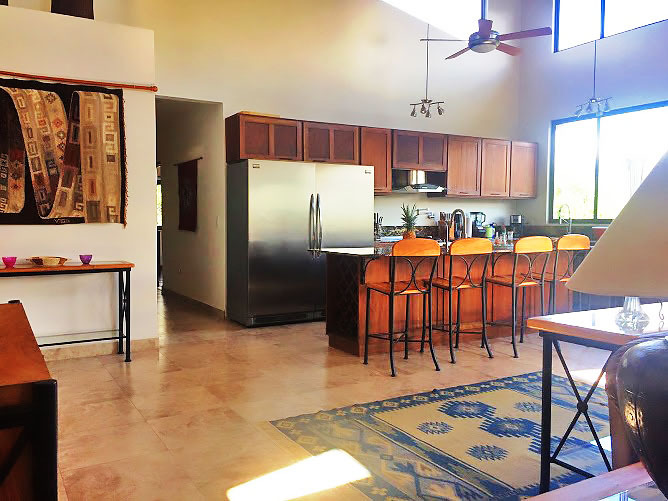 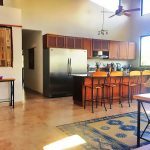 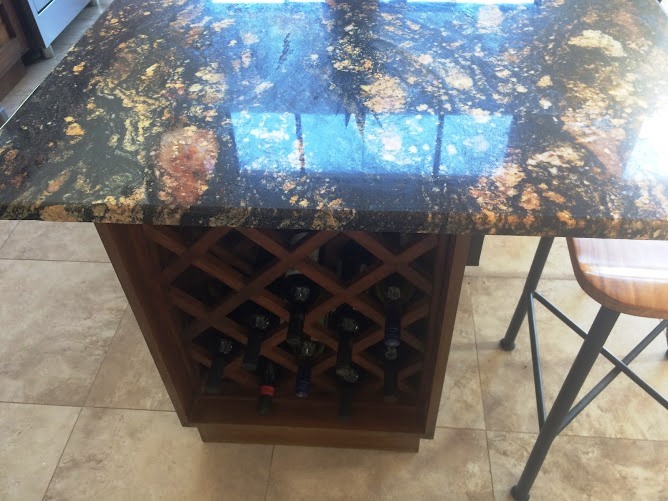 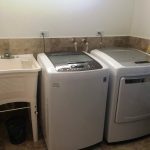 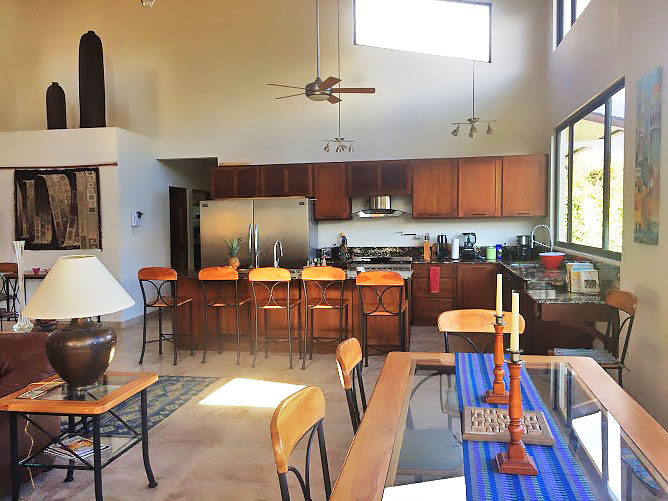 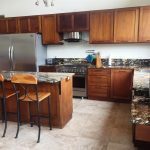 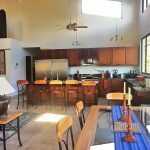 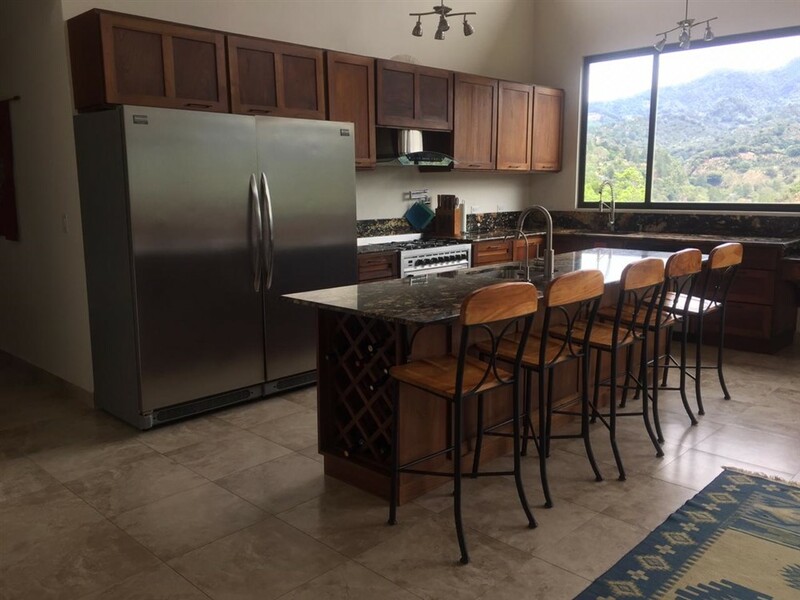 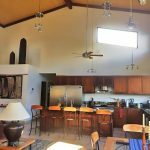 Modern appliances, a versatile island with its own wine rack and pretty plumbing fixtures offer comfort, style and more convenience. 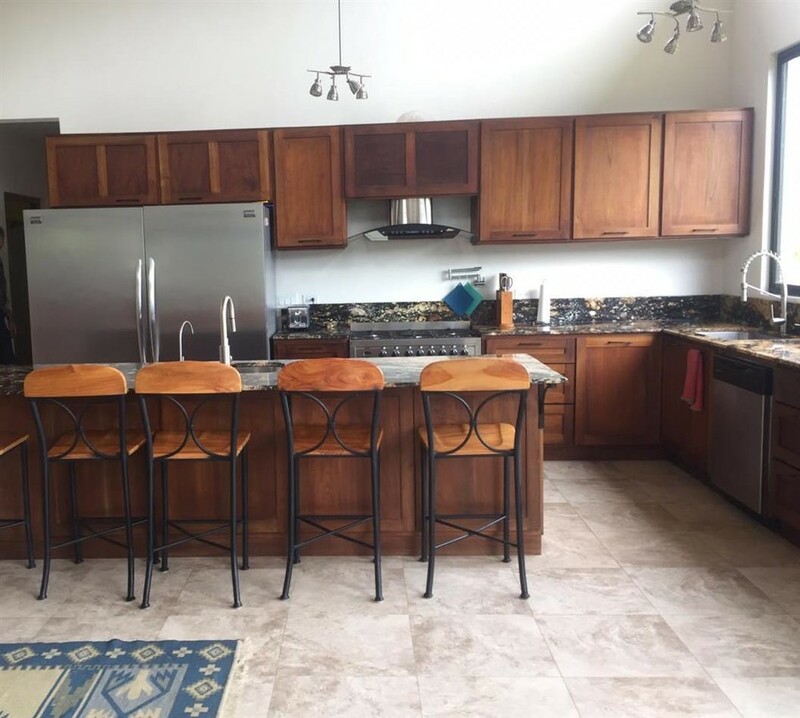 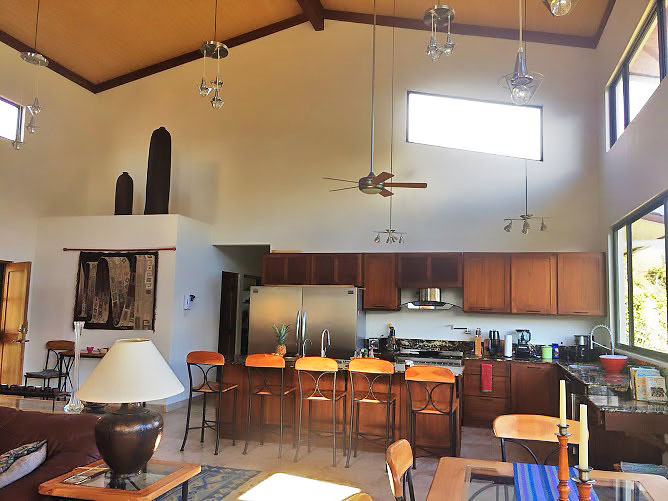 The kitchen has an oversized refrigerator and freezer for your convenience. 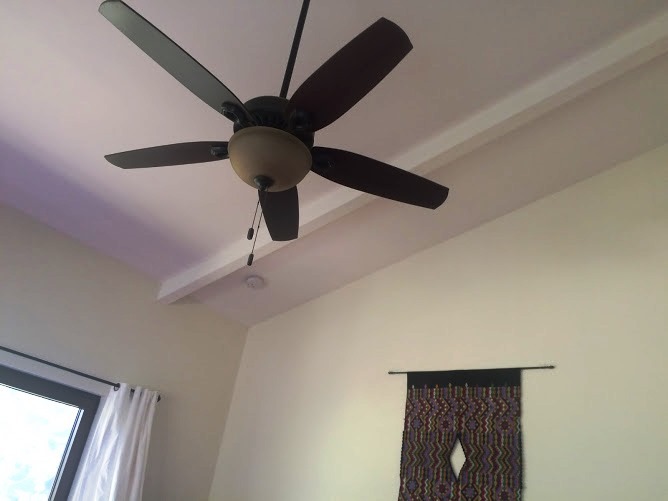 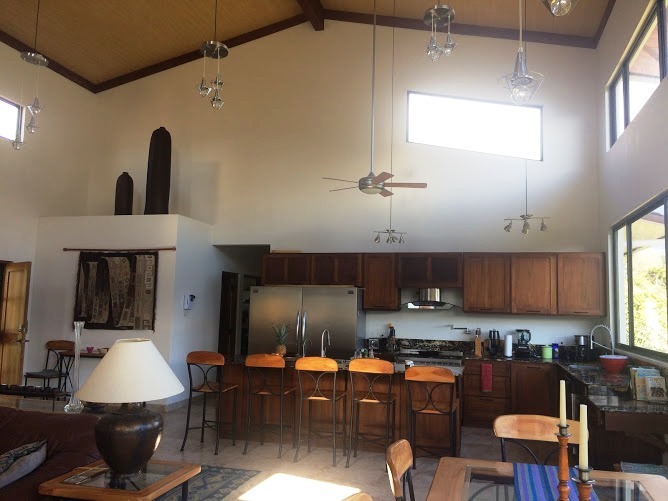 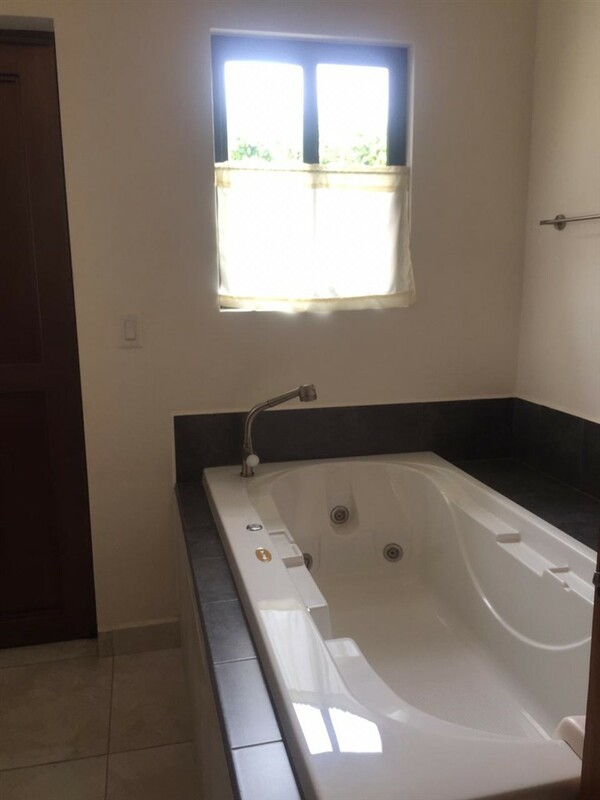 This beautiful house has three bedrooms and two bathrooms. 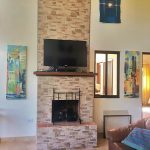 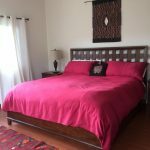 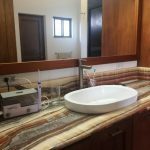 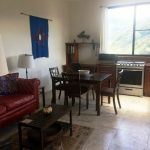 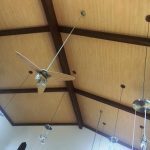 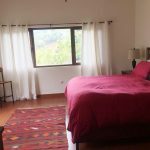 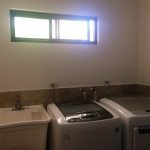 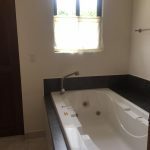 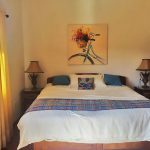 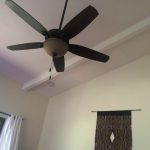 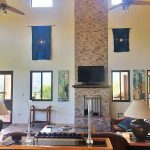 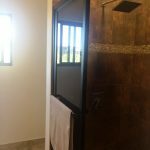 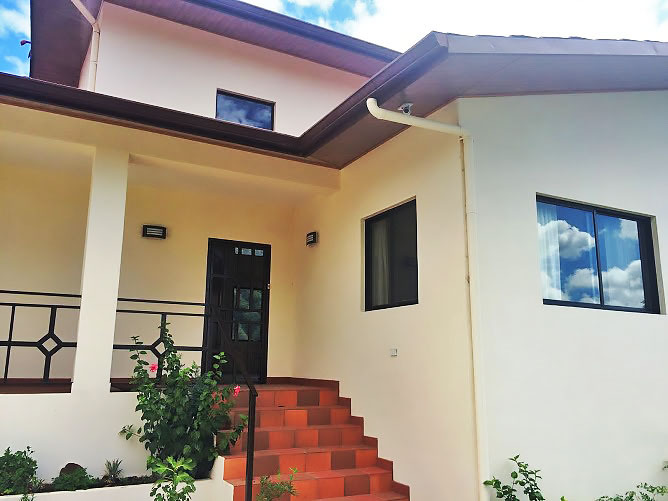 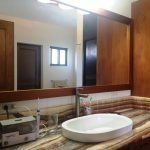 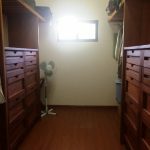 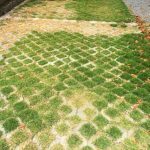 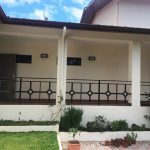 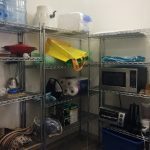 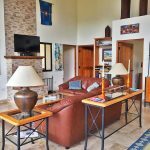 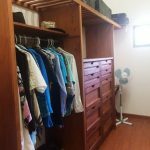 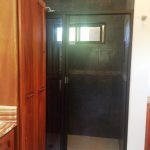 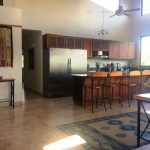 There is also a one bedroom apartment with a separate entrance for a total of four bedrooms and three bathrooms in the residence. 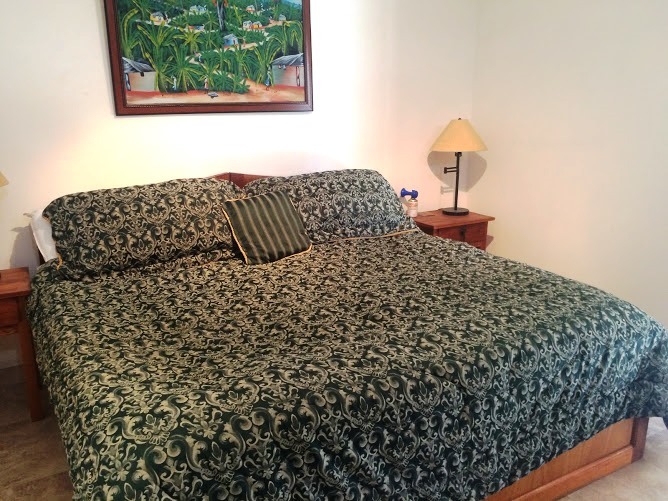 The bedrooms are large and comfortable. 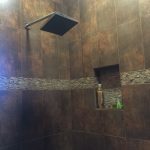 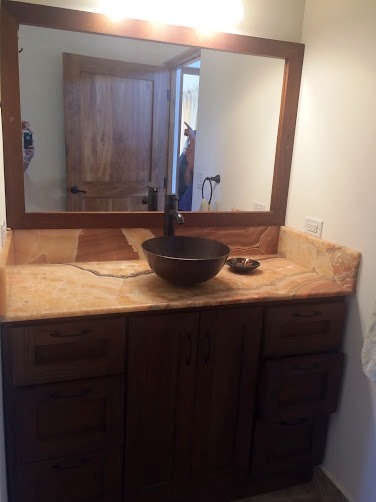 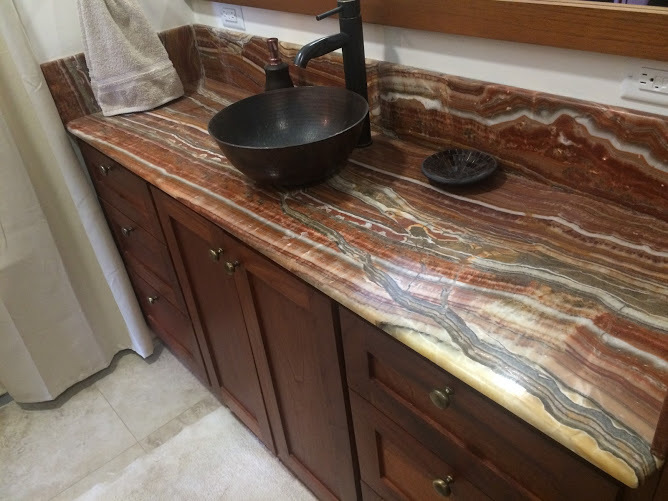 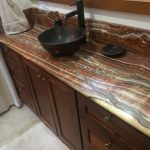 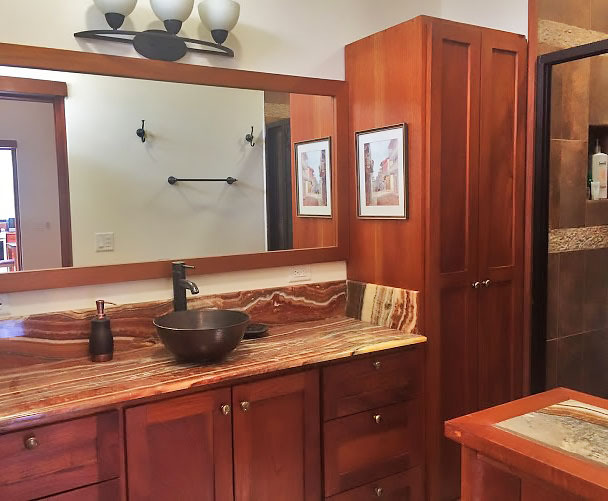 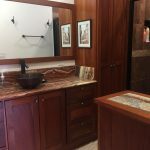 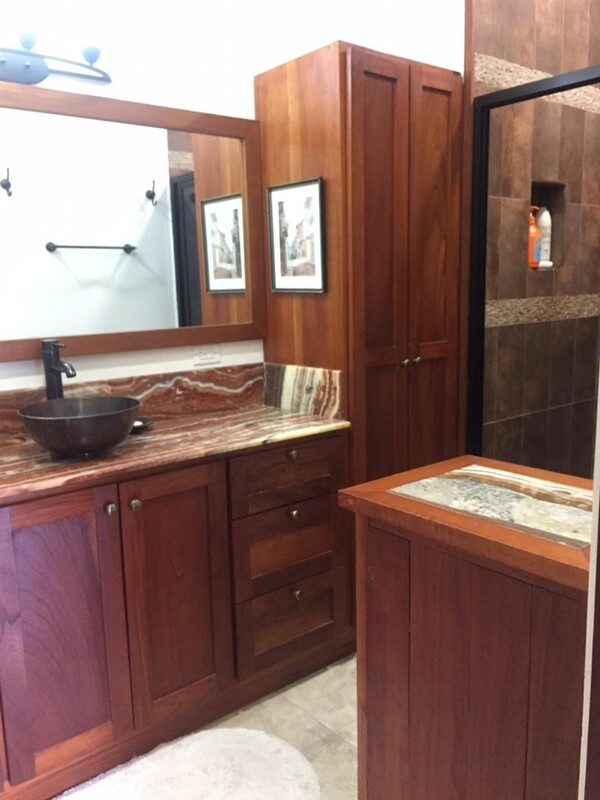 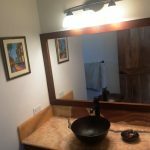 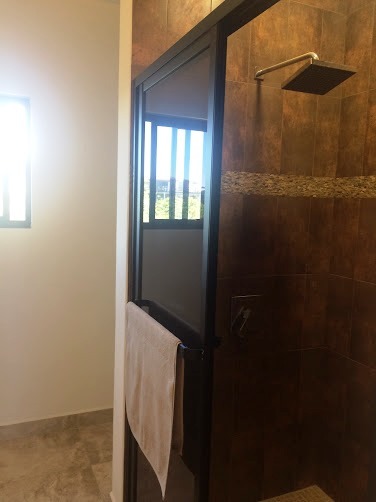 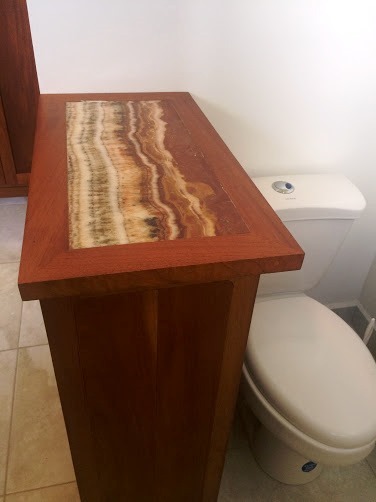 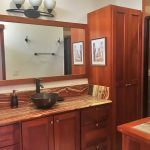 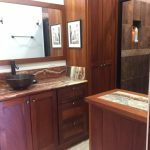 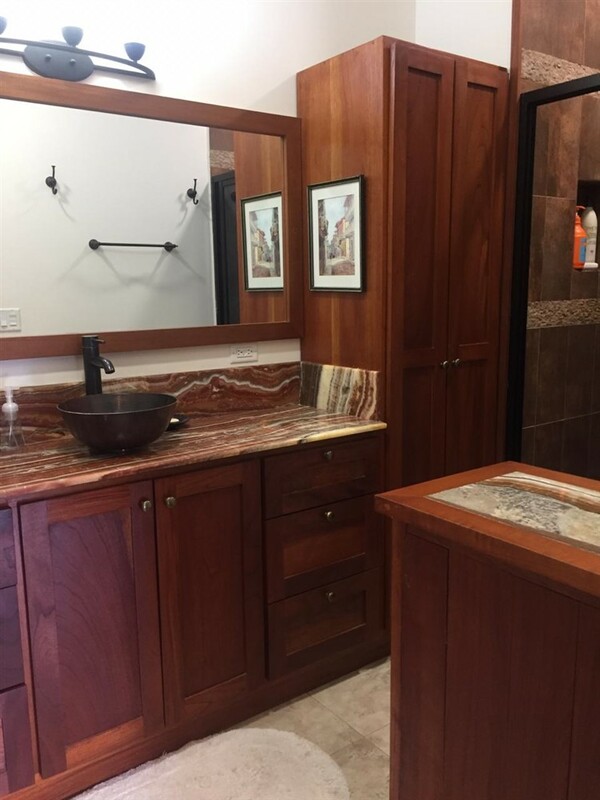 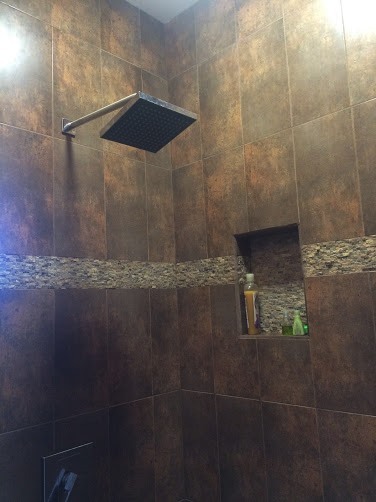 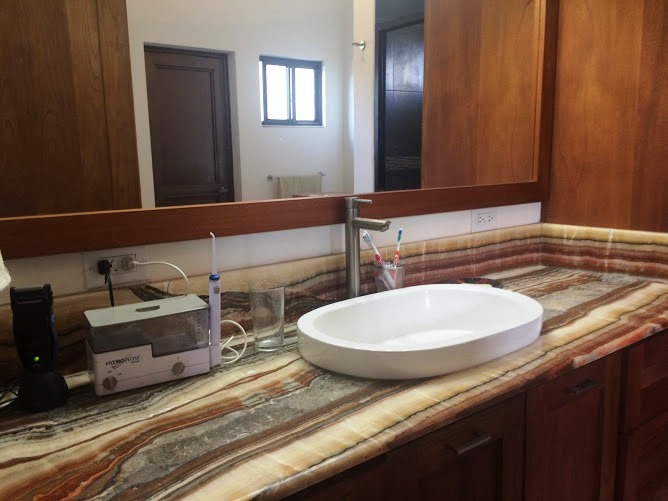 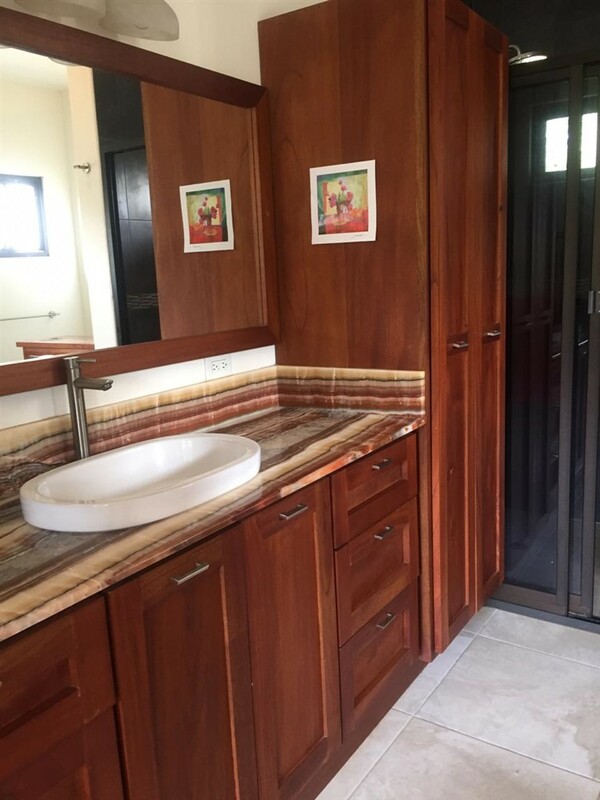 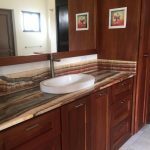 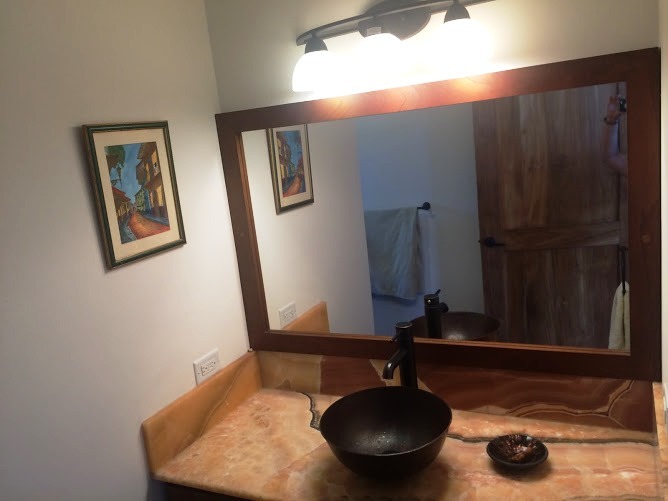 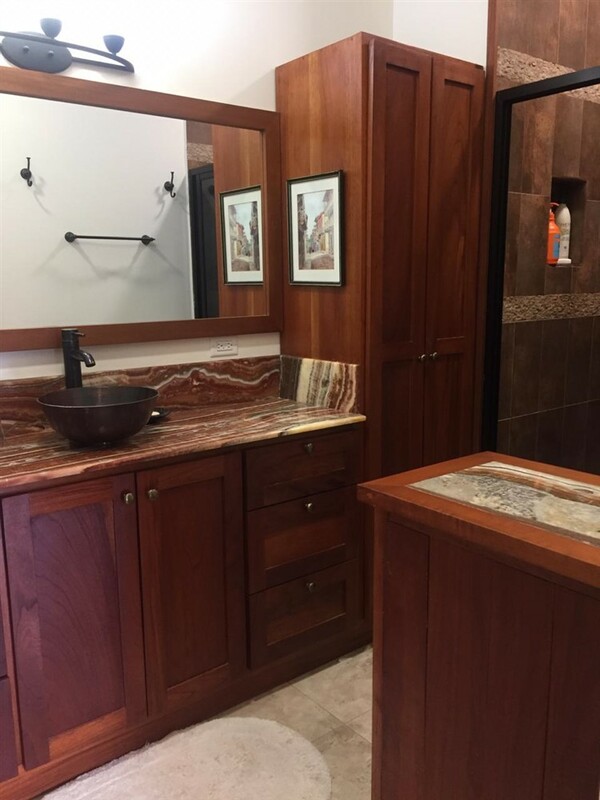 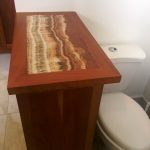 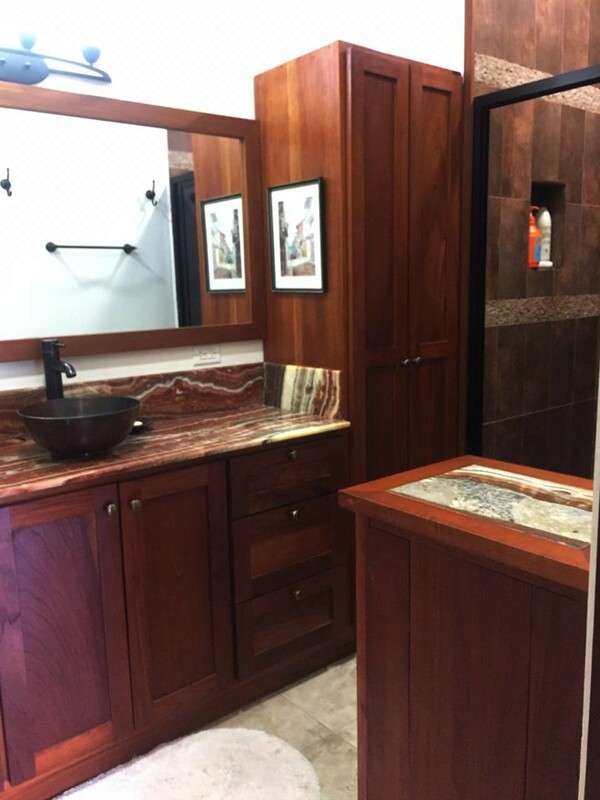 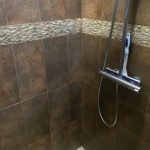 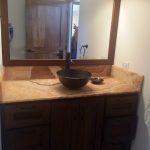 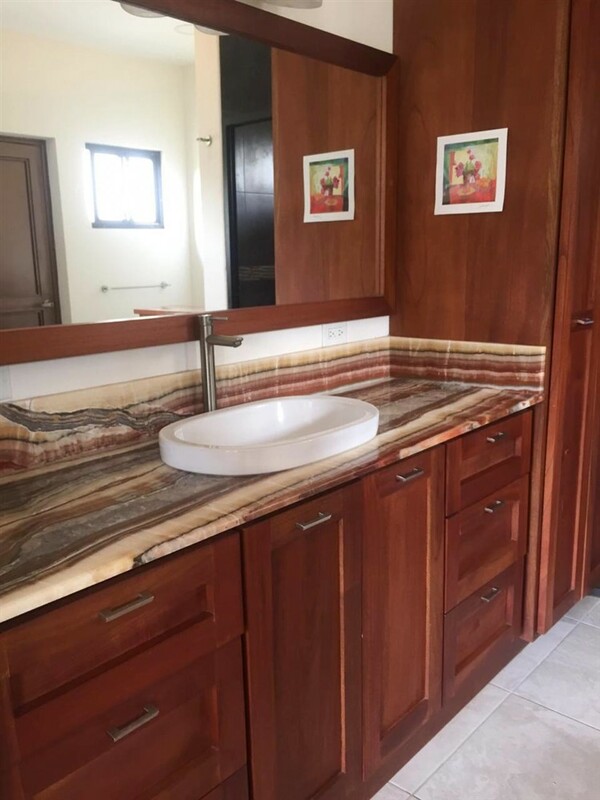 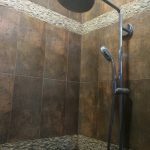 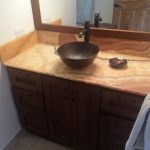 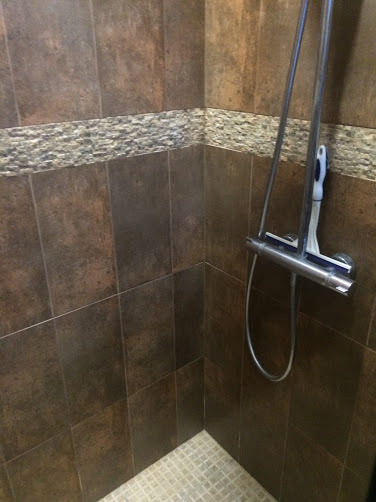 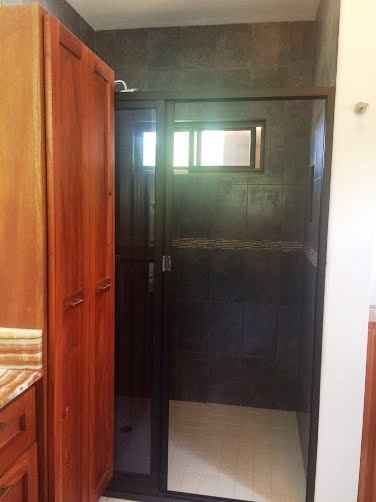 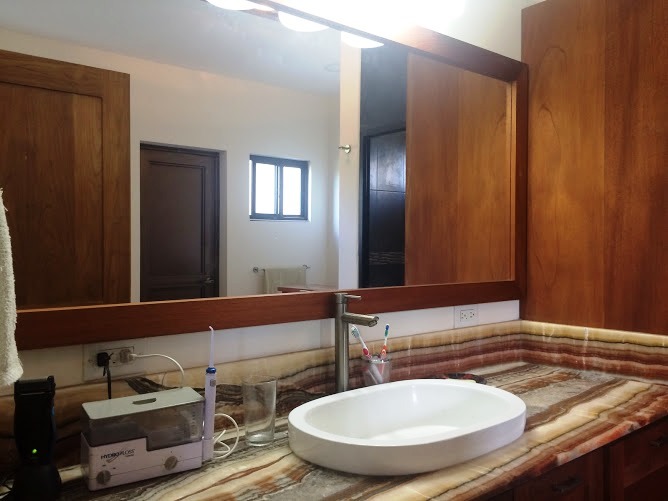 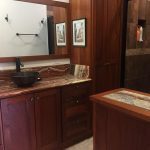 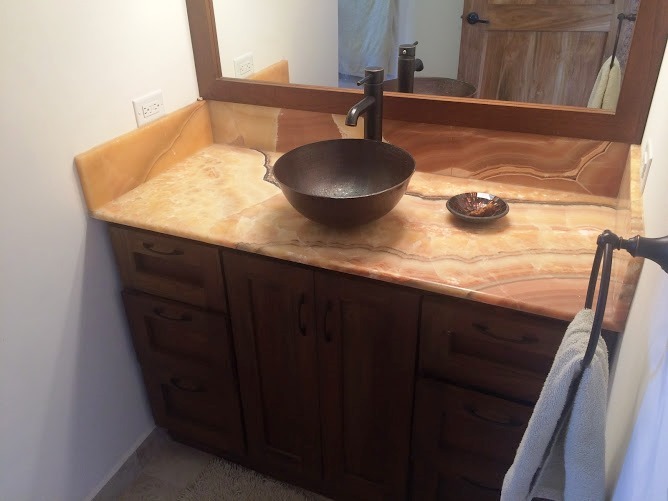 Unique tile and fixtures along with more striking countertops ensure that each bathroom provides upscale comfort along with stimulating color schemes. 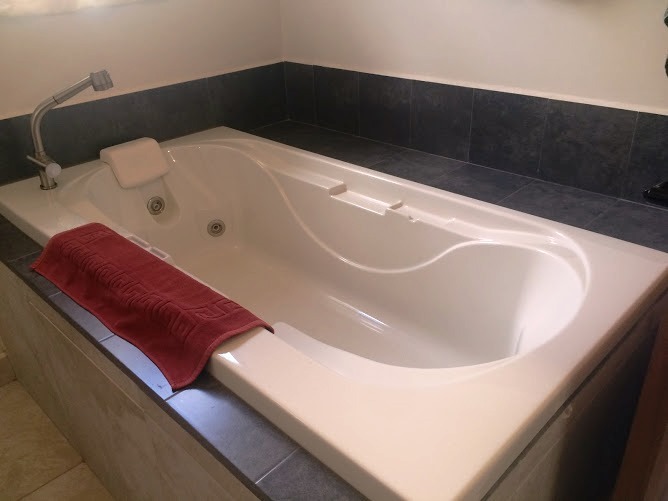 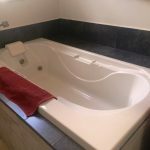 The jacuzzi style tub provides relaxation and soothing bubbles. 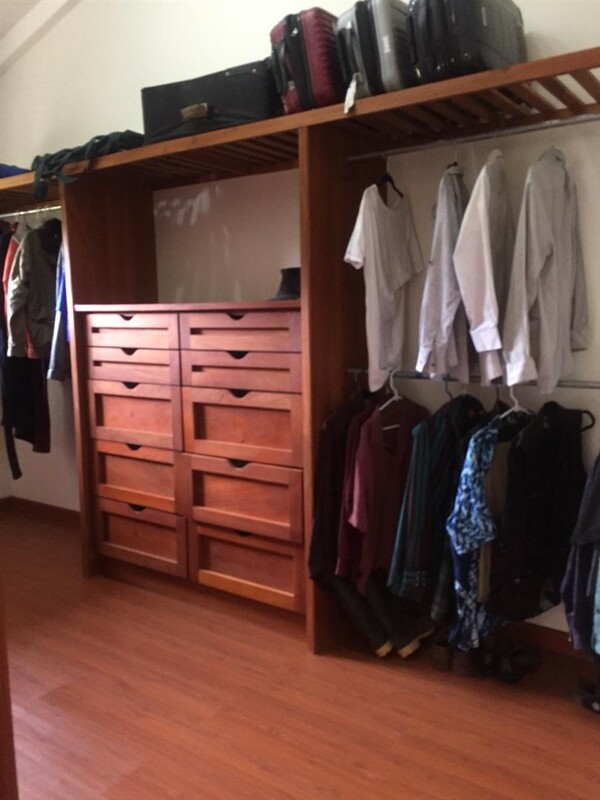 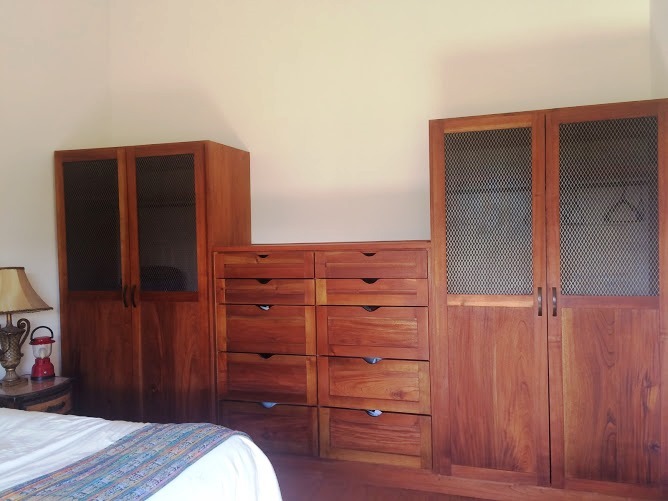 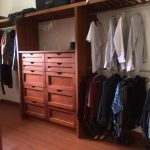 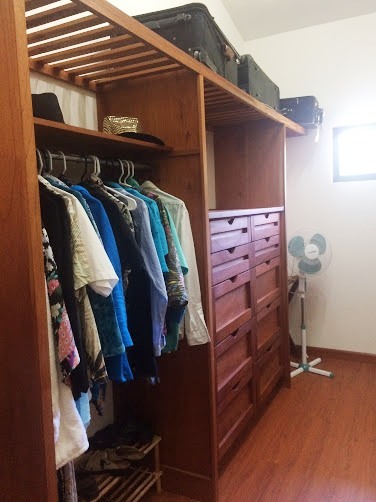 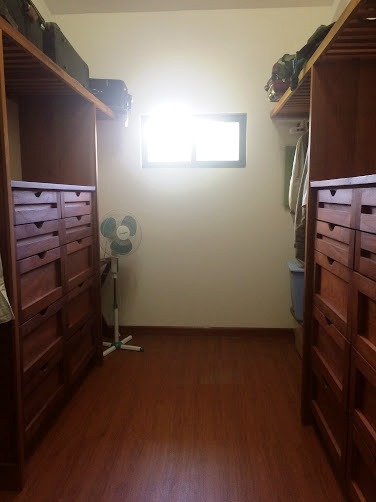 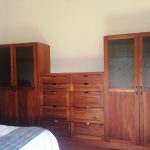 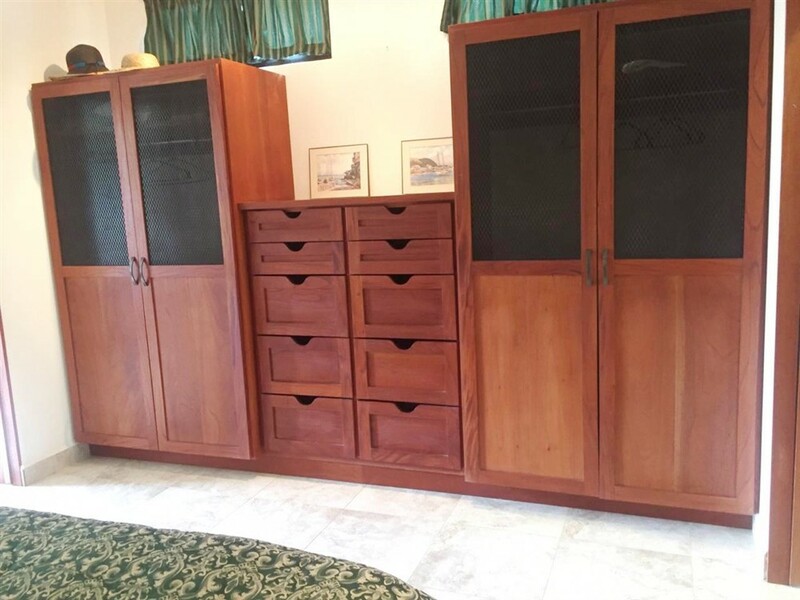 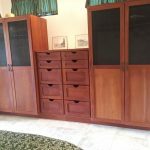 A wide walk-in closet with lots of custom wood drawers is here too. 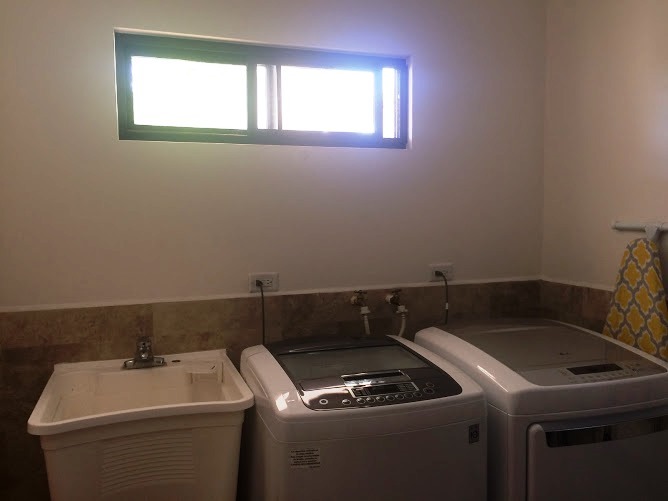 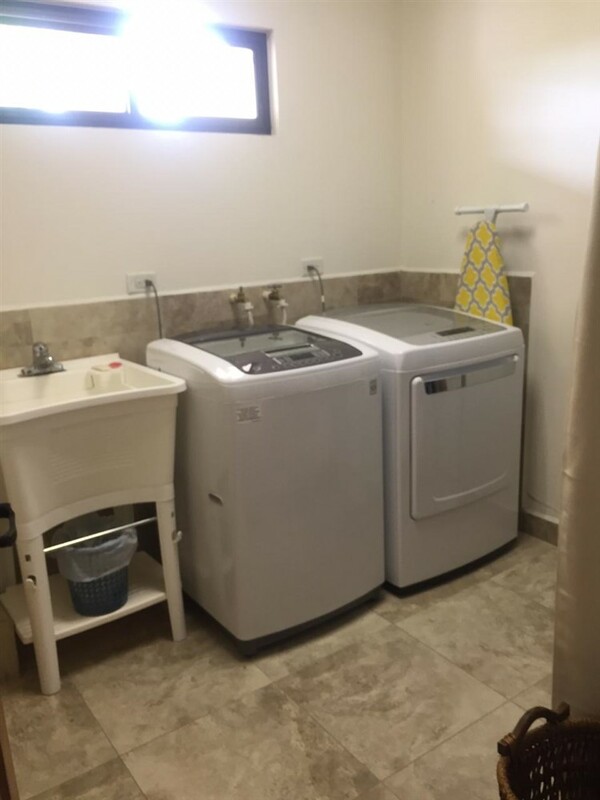 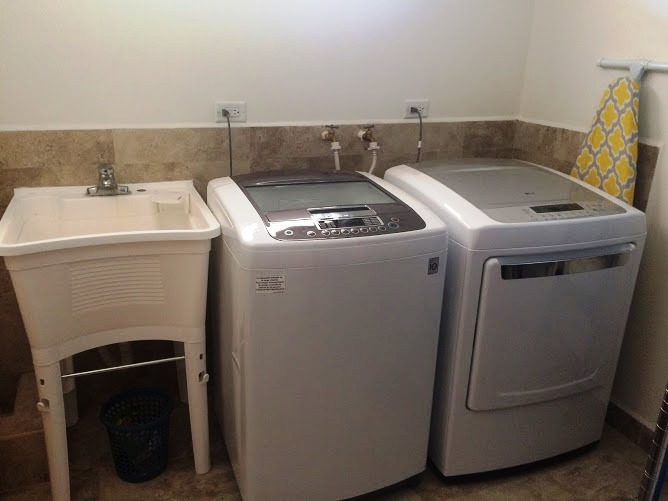 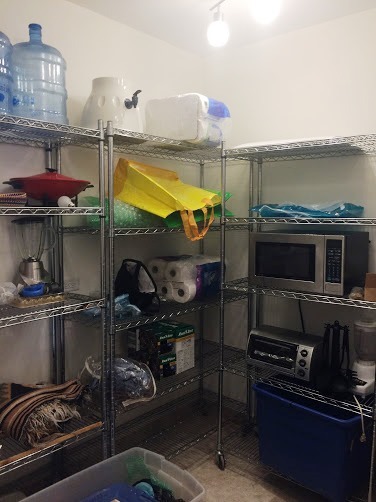 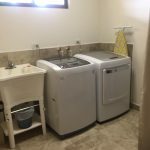 The house has a large laundry room and pantry. 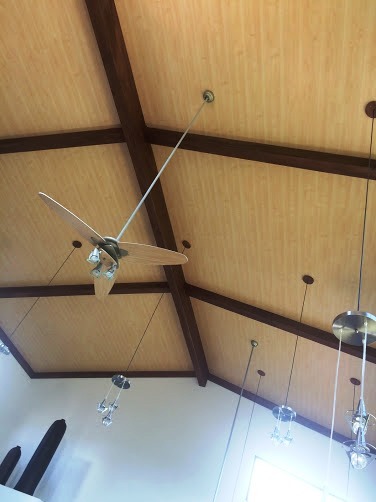 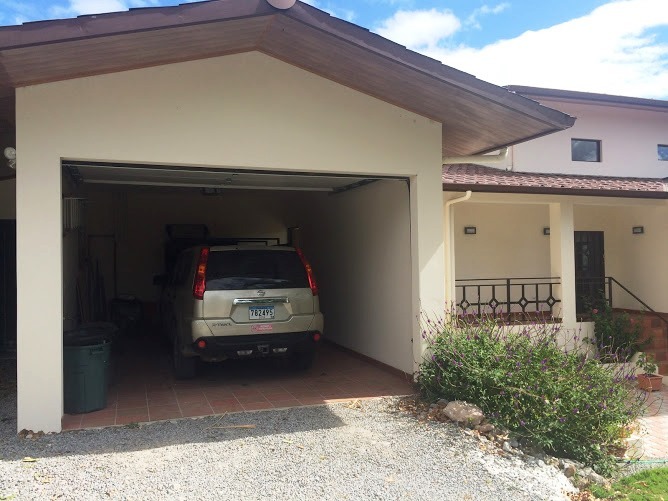 It also has a garage. 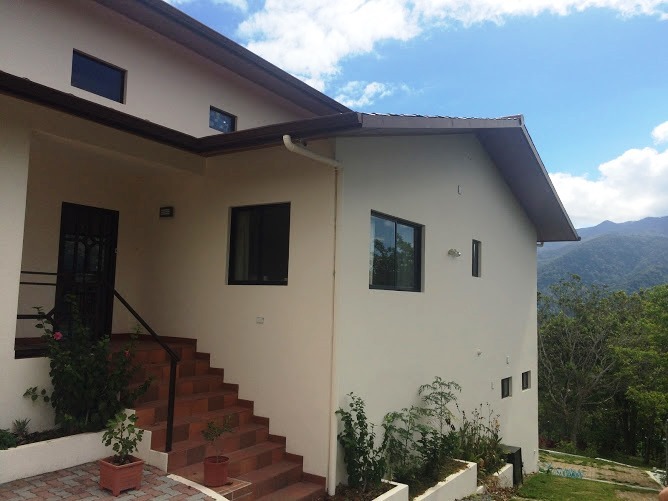 And its own guest house. 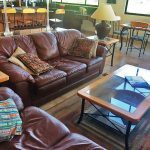 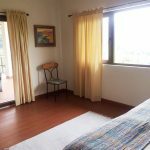 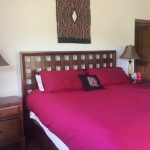 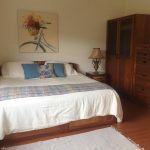 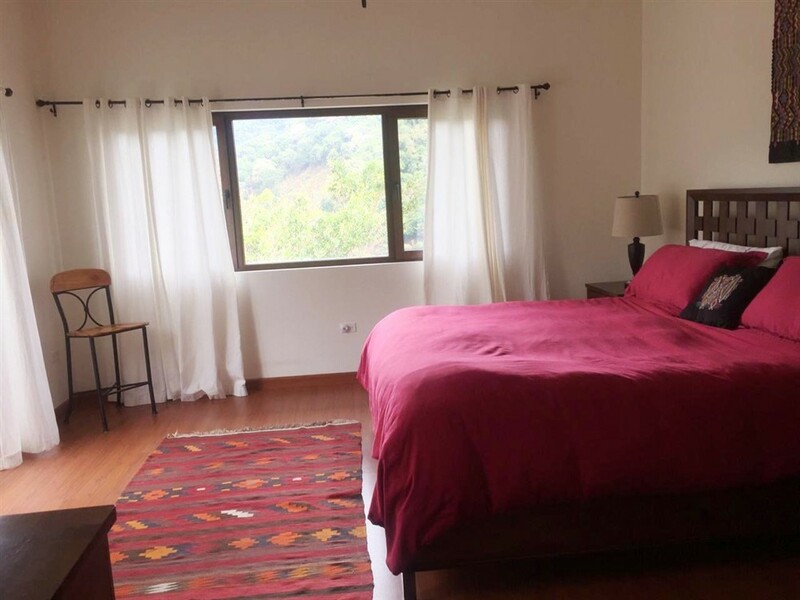 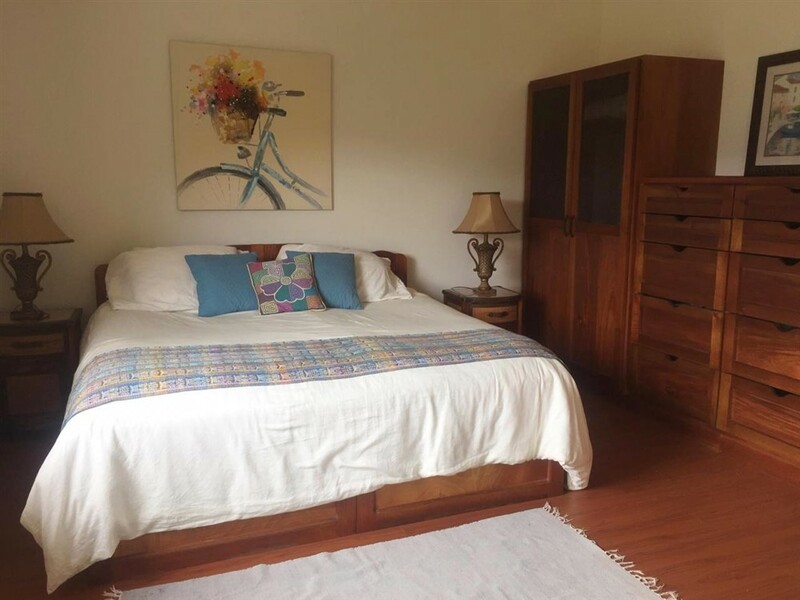 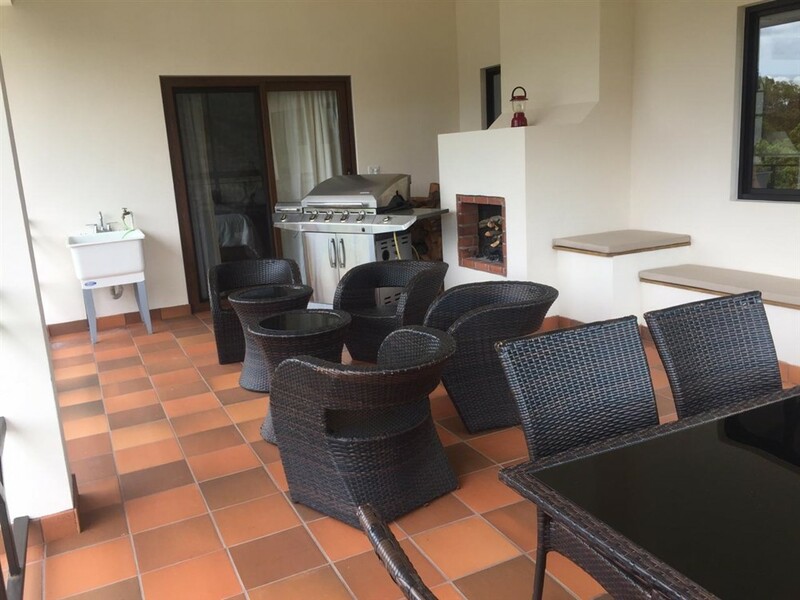 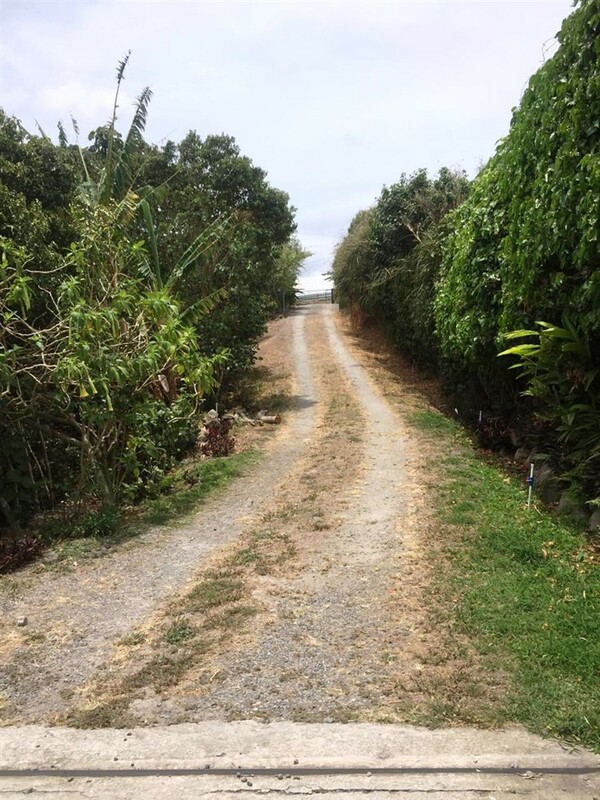 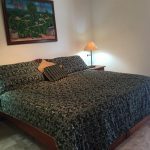 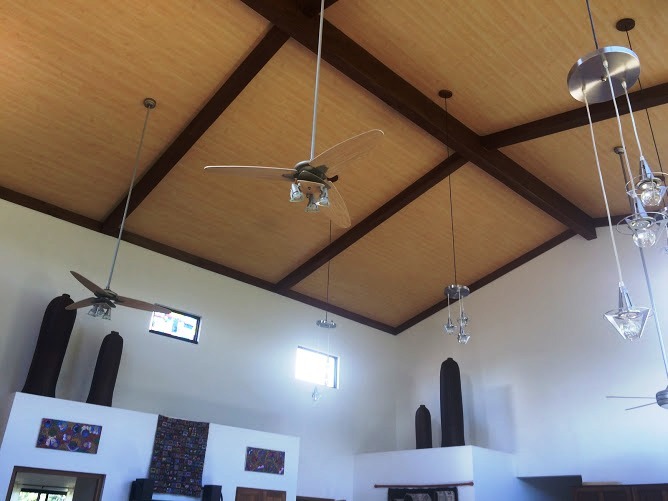 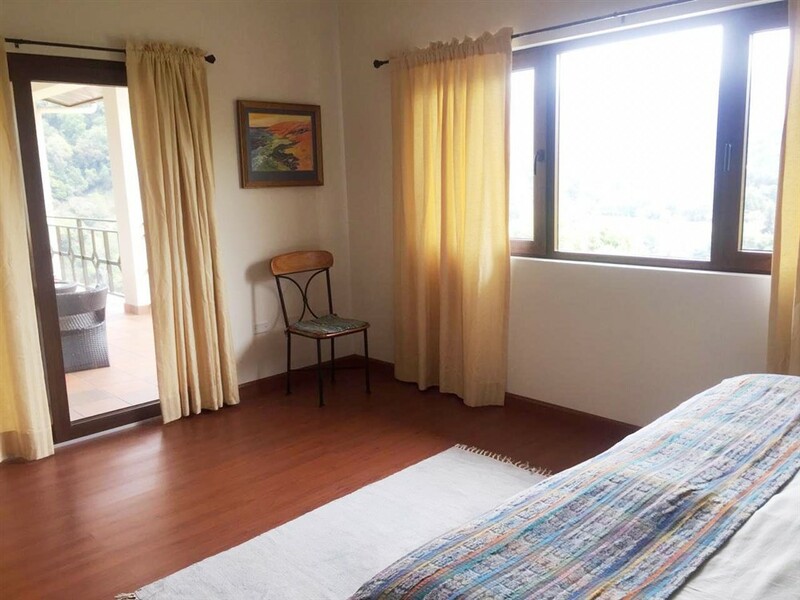 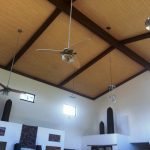 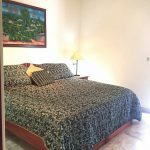 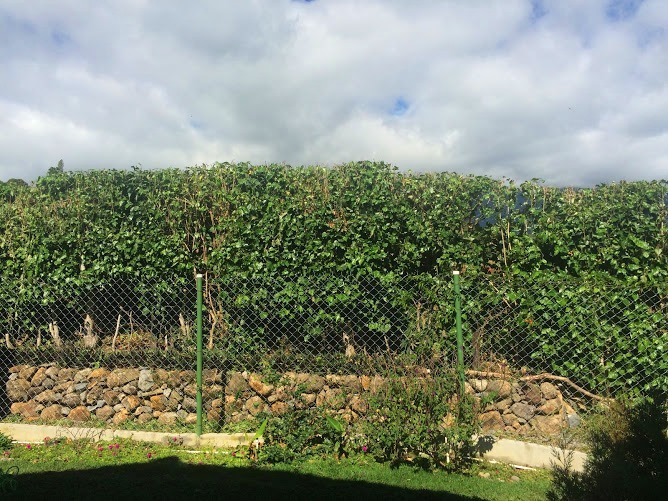 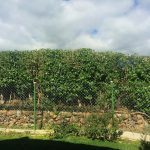 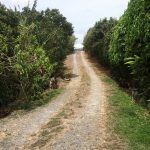 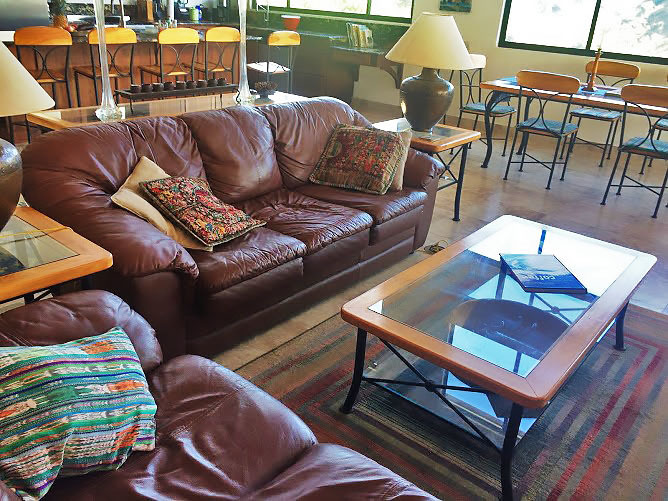 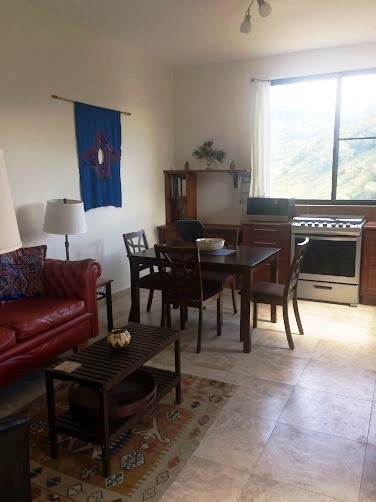 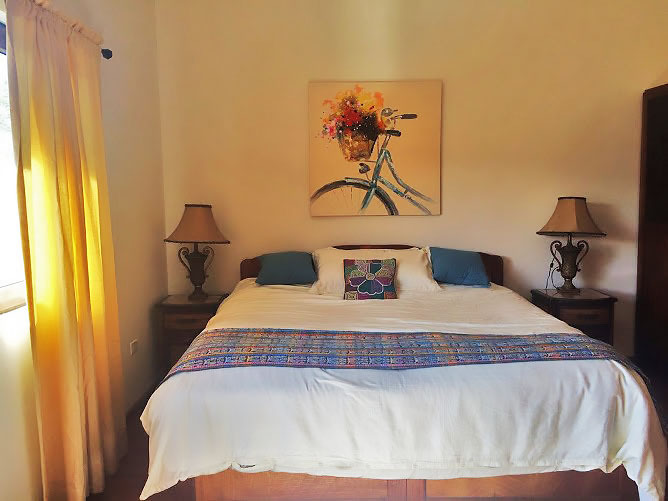 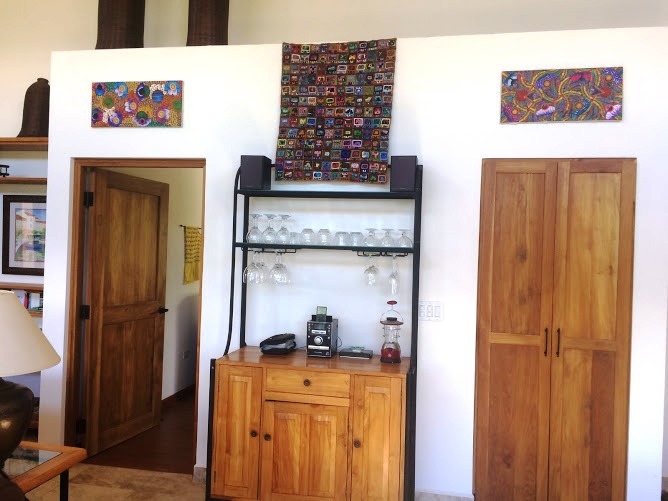 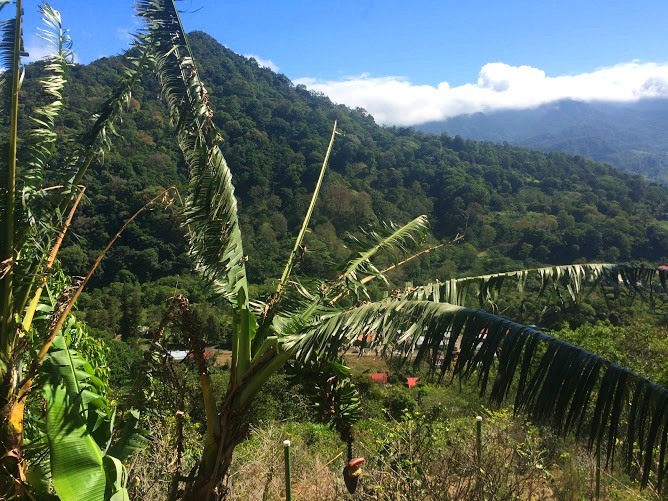 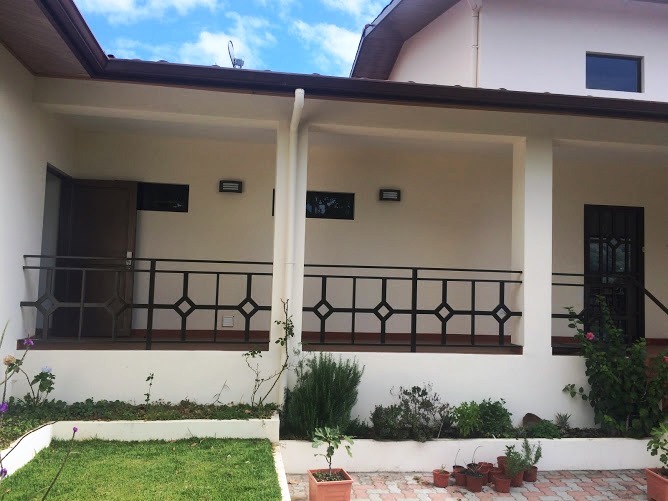 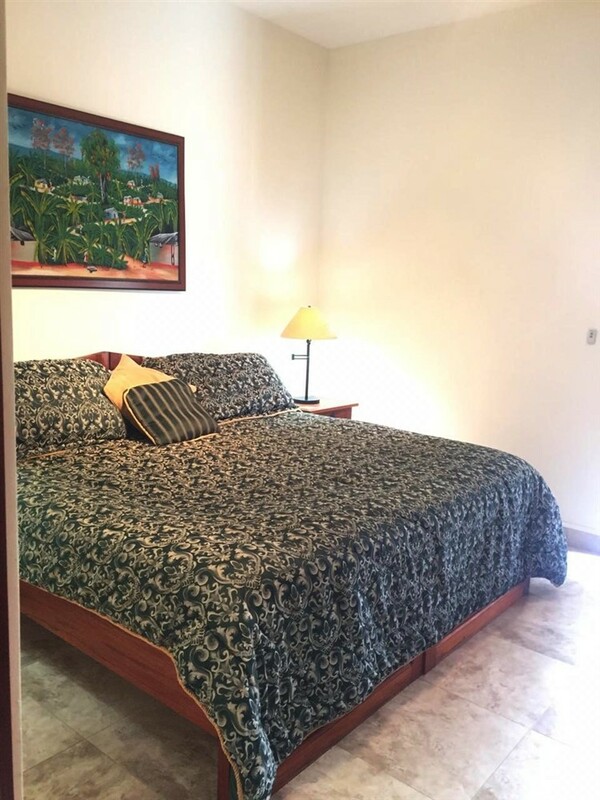 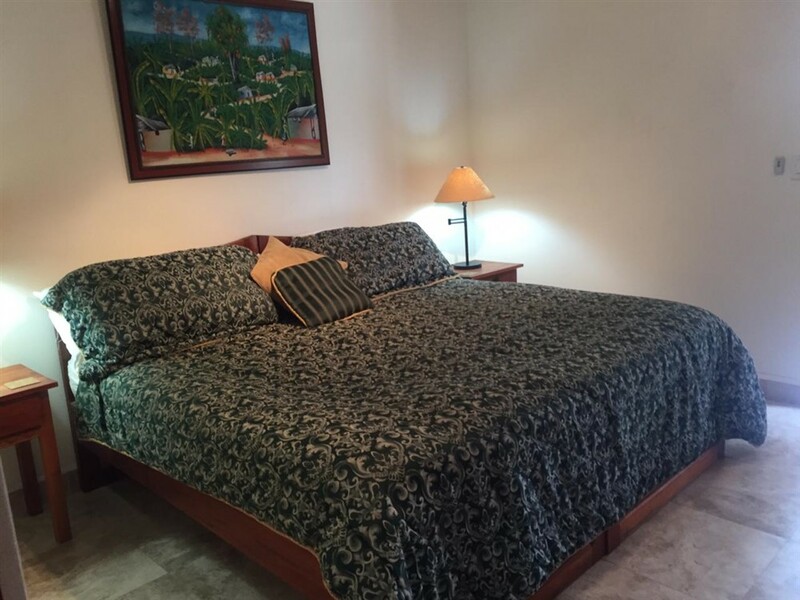 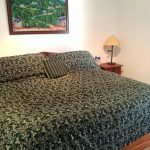 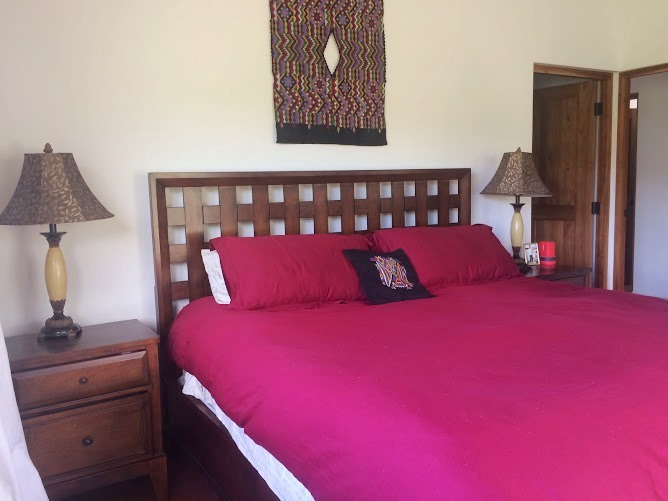 The guest house provides rental income potential as well as a private place for your visiting relatives or friends. 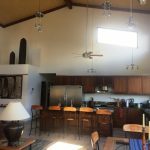 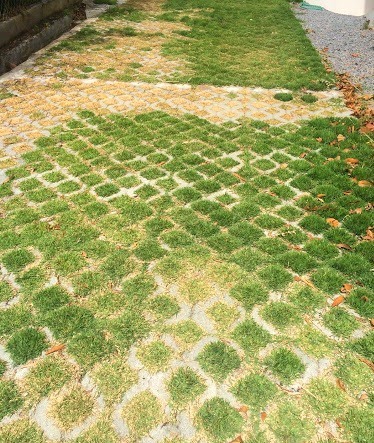 The tax exemption on this house are transferable and active to August 24, 2027. 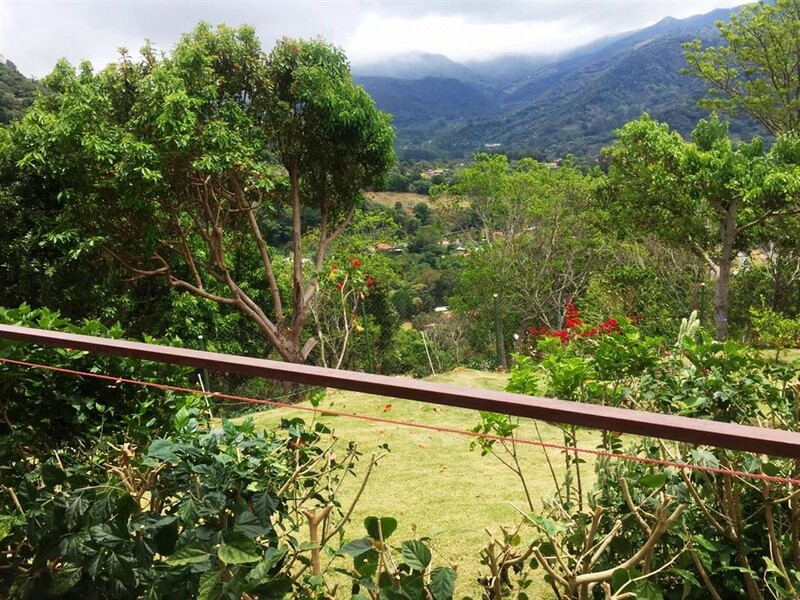 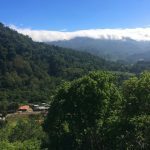 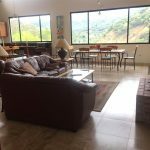 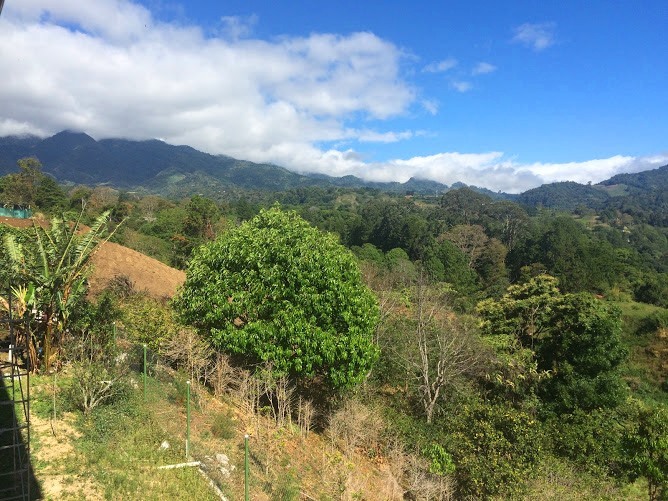 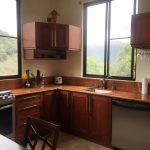 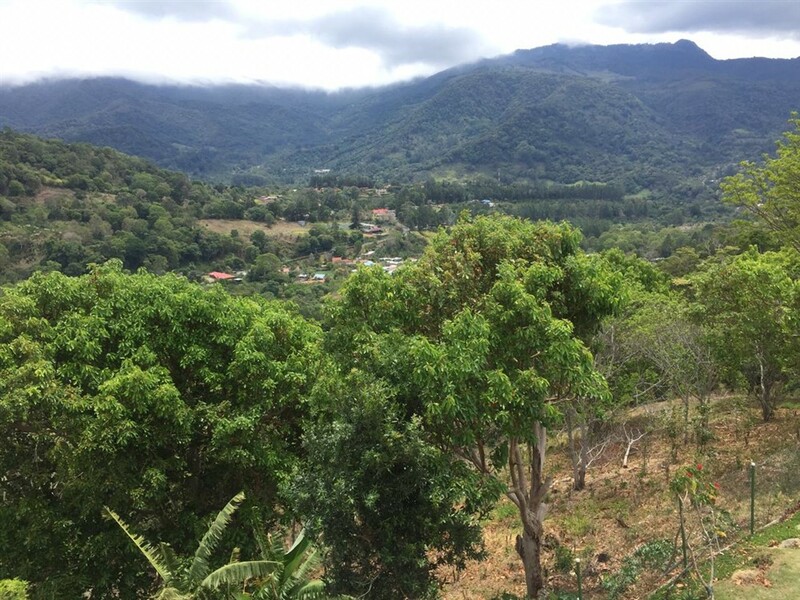 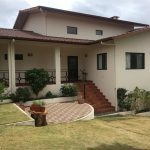 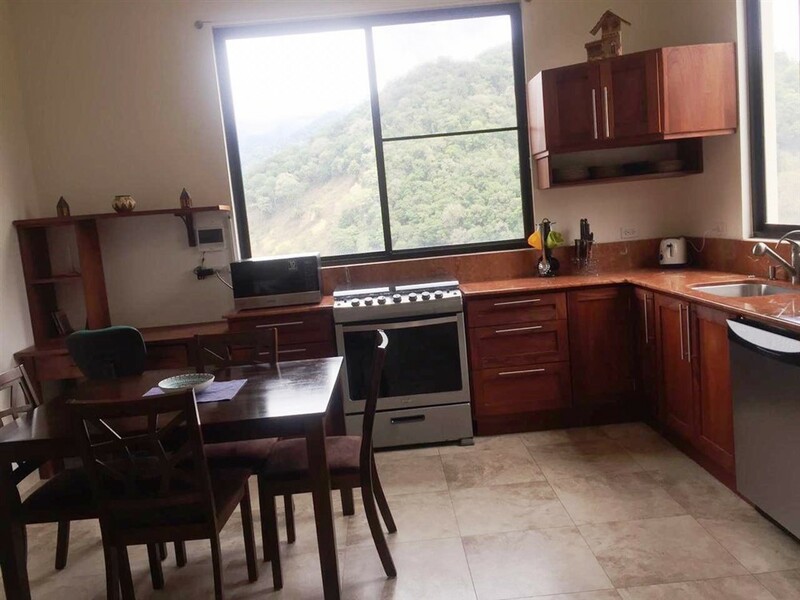 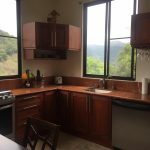 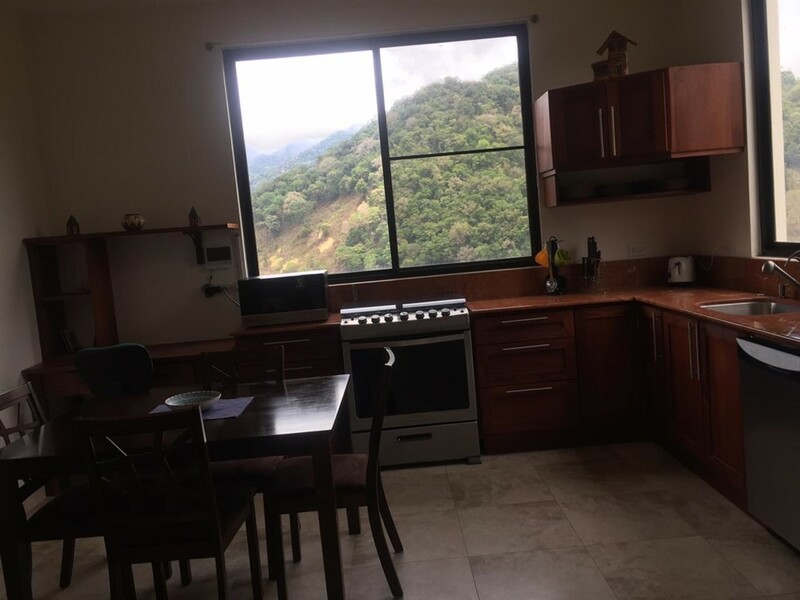 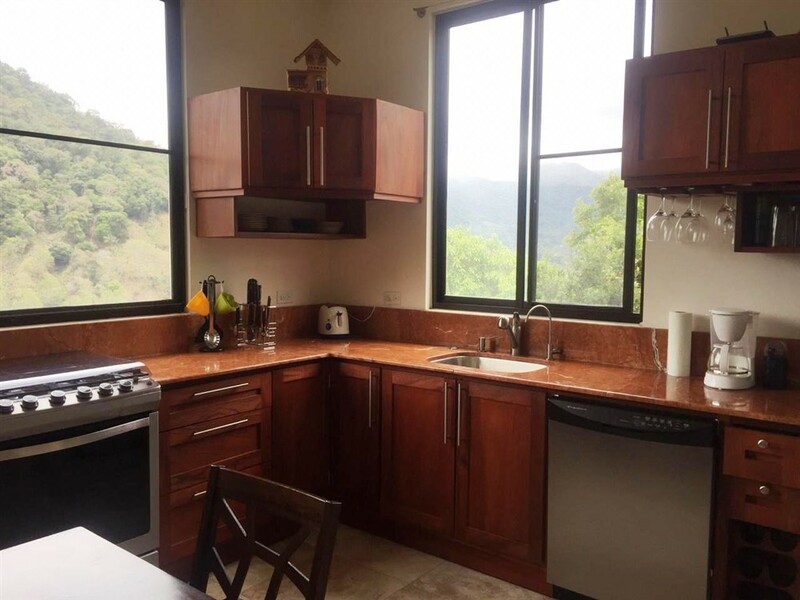 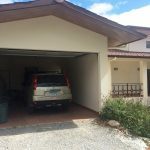 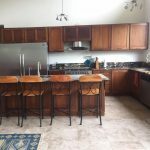 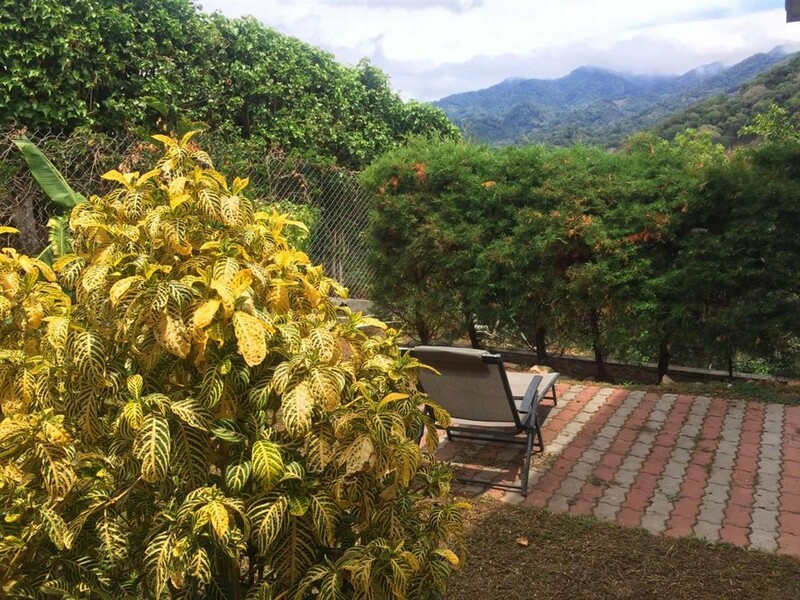 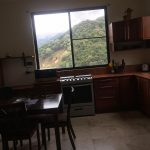 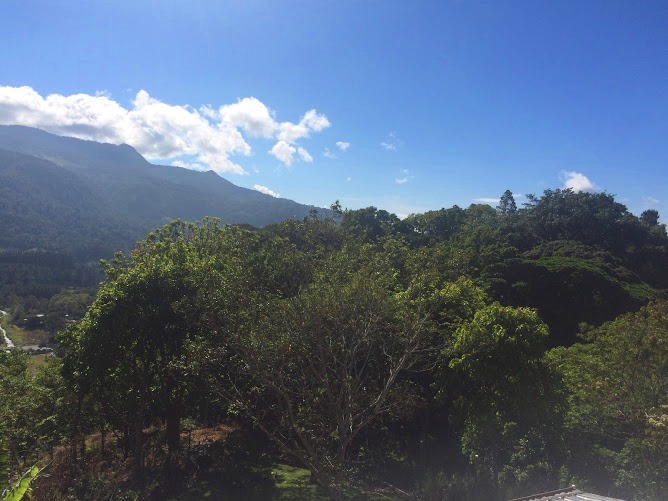 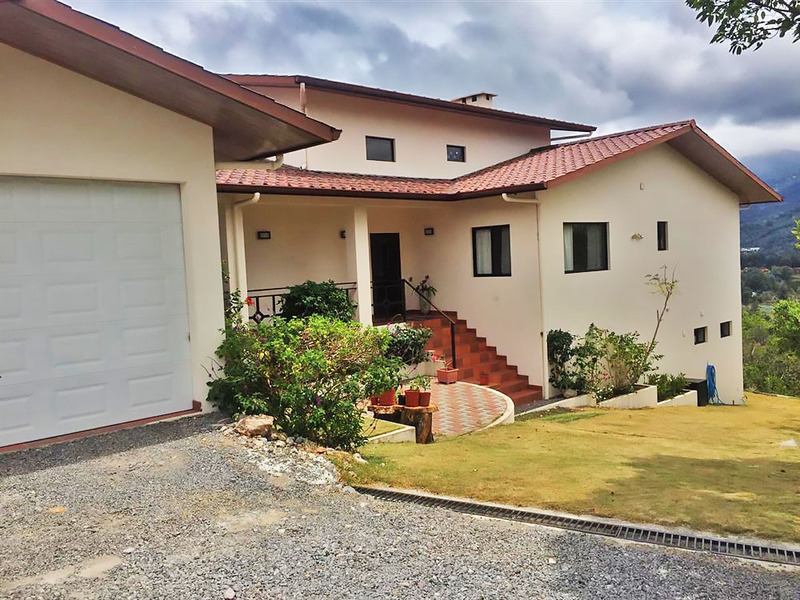 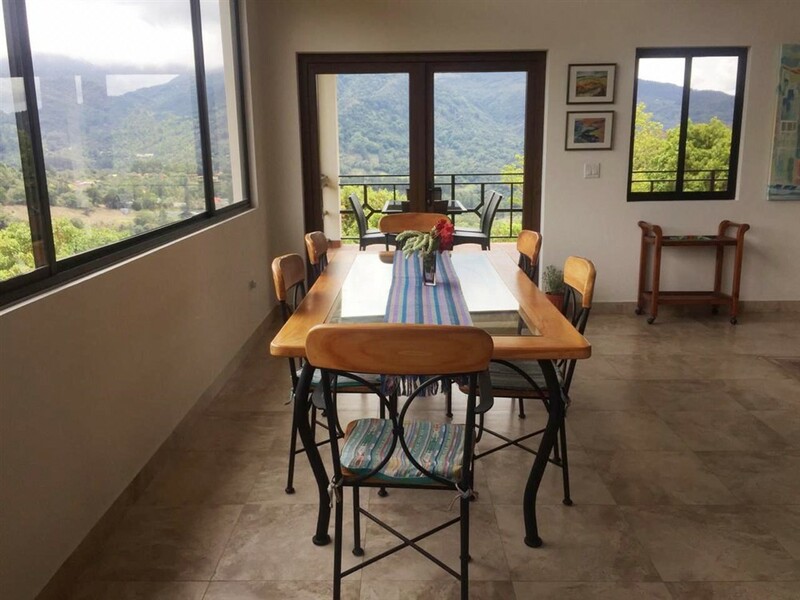 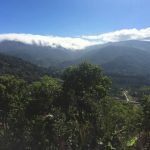 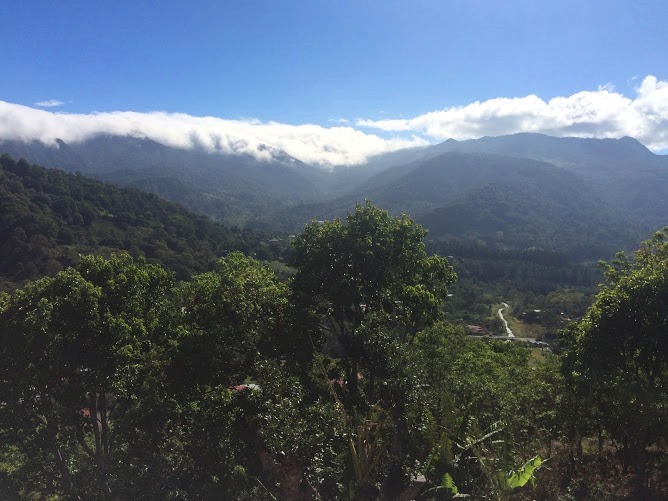 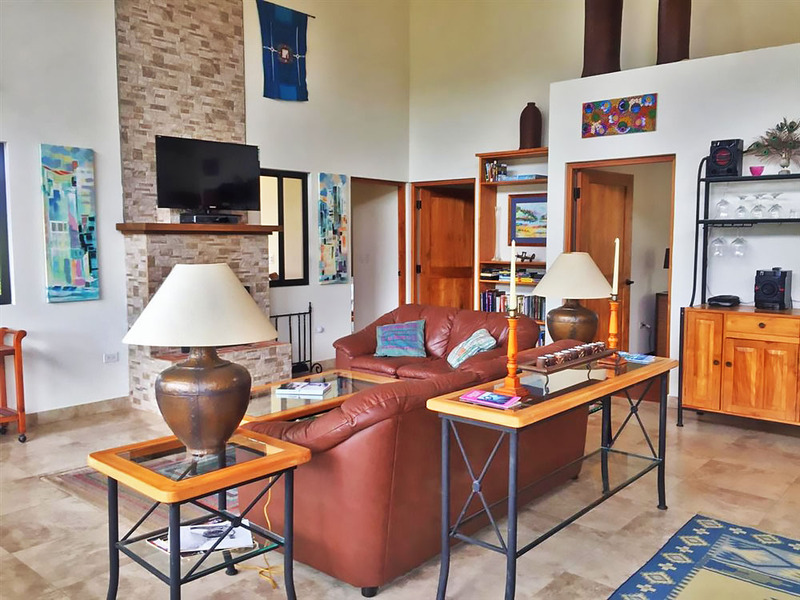 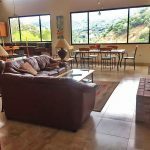 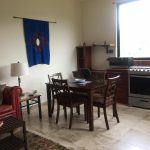 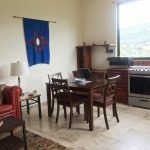 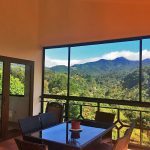 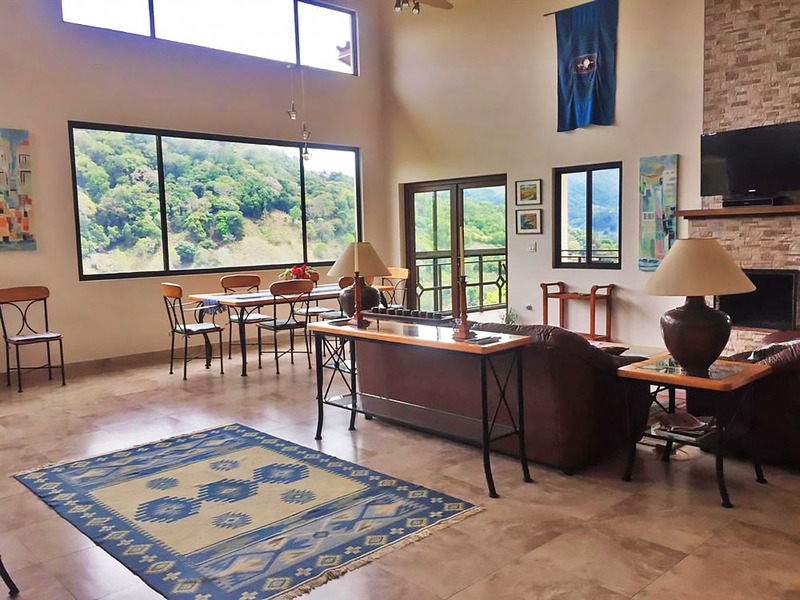 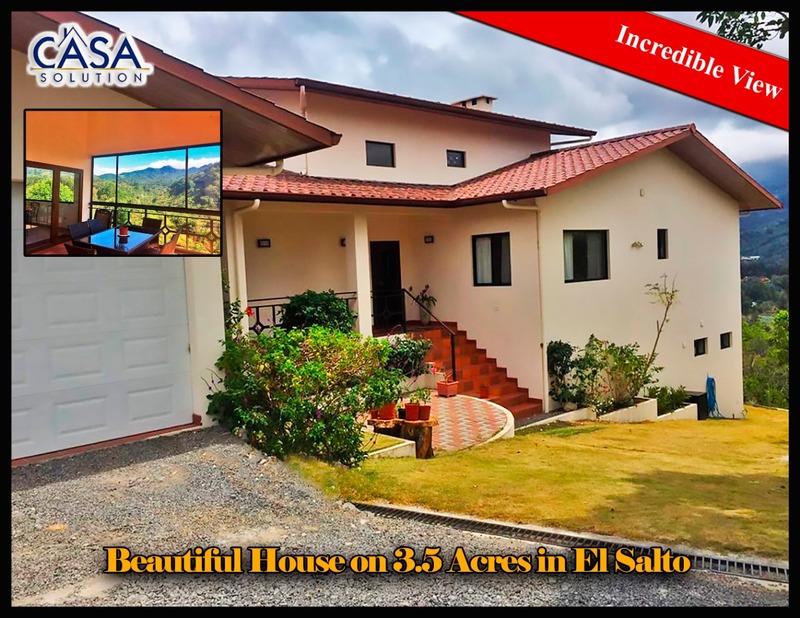 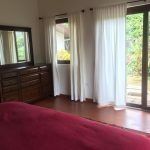 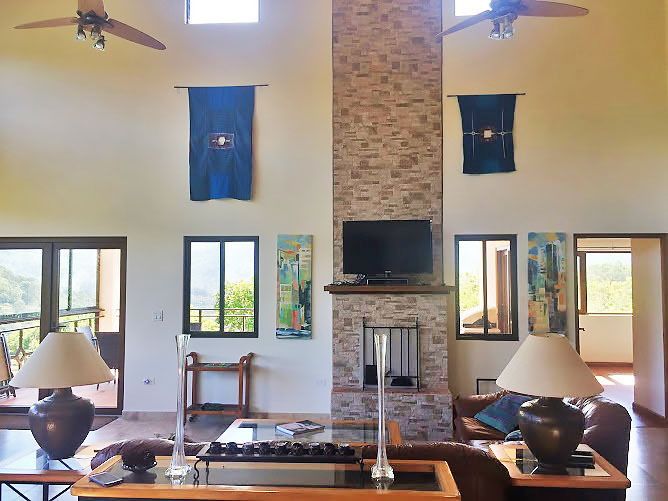 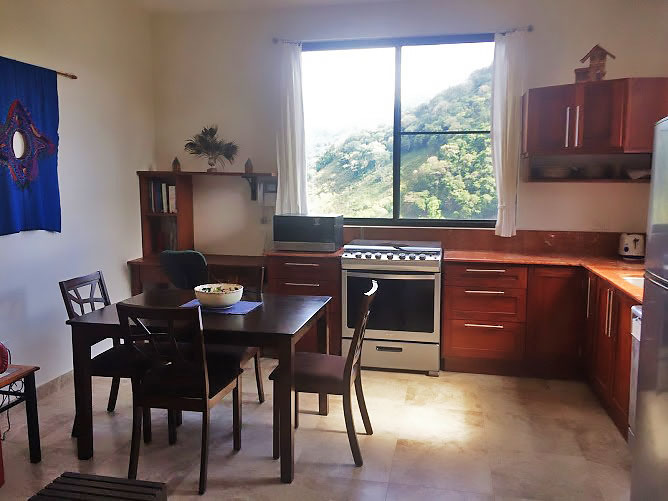 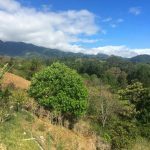 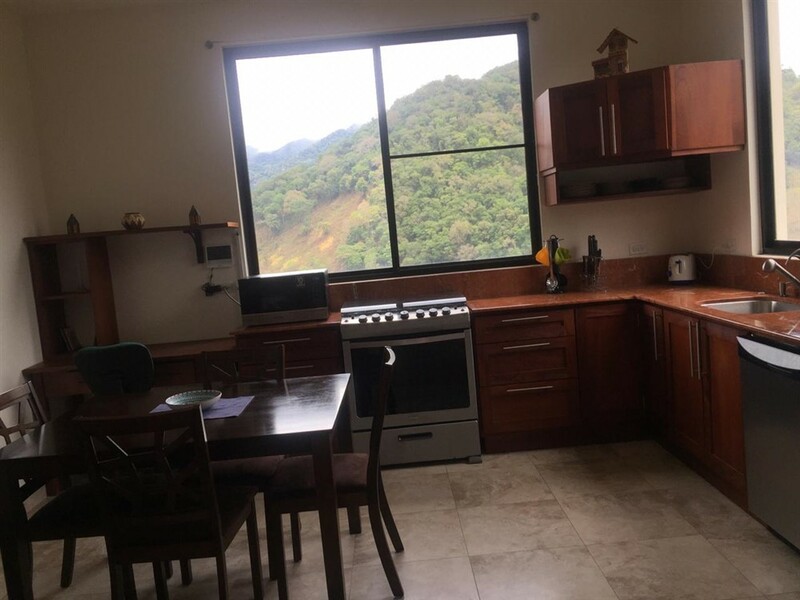 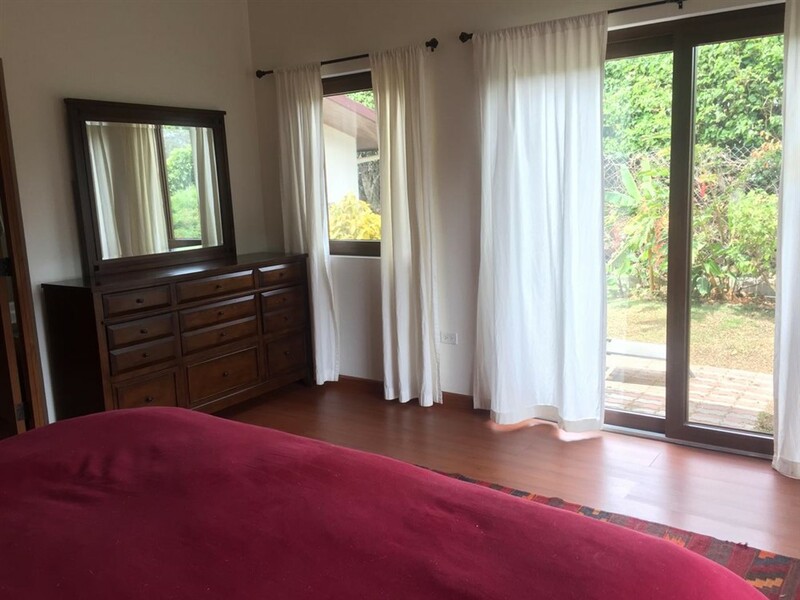 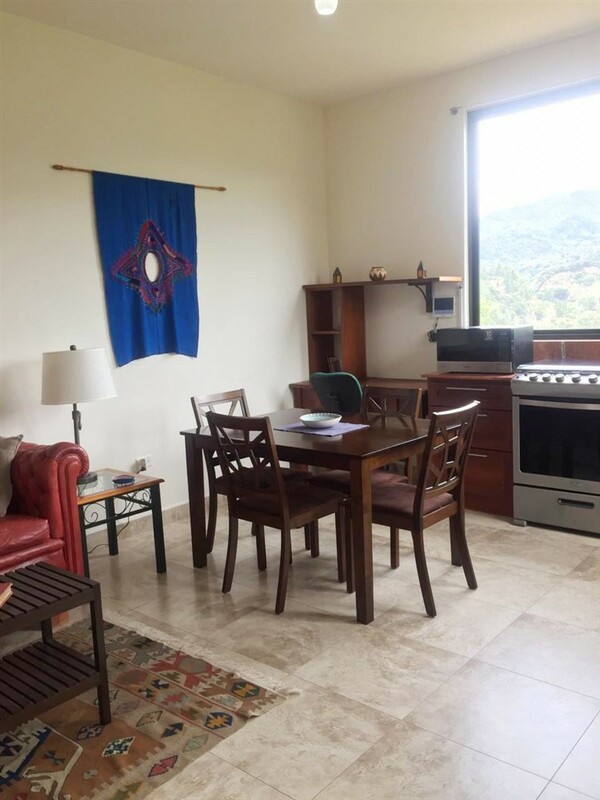 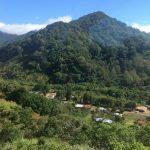 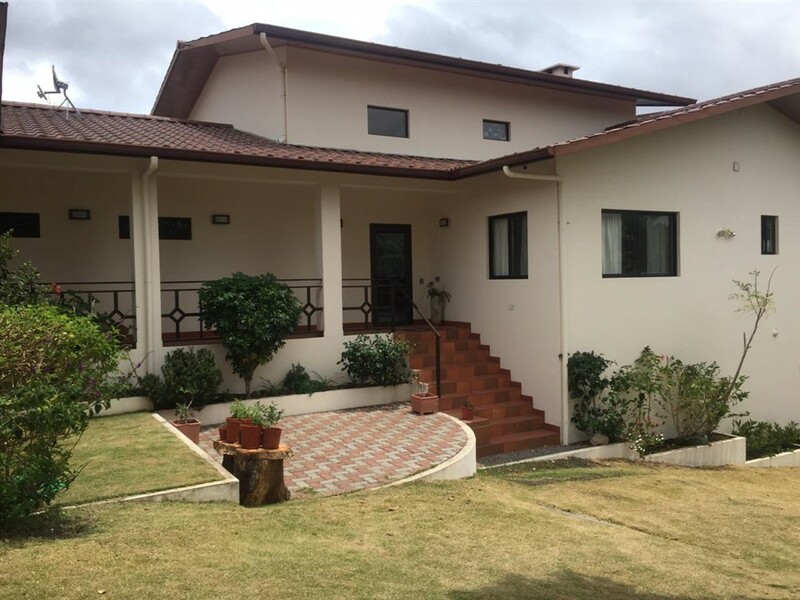 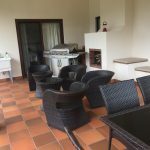 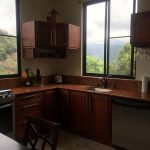 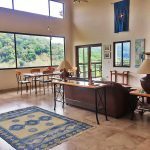 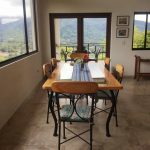 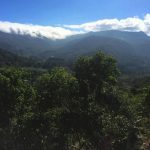 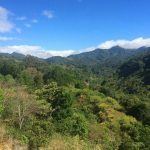 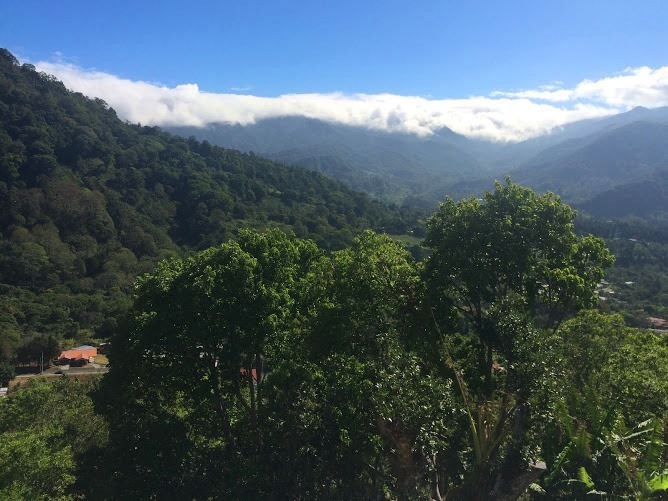 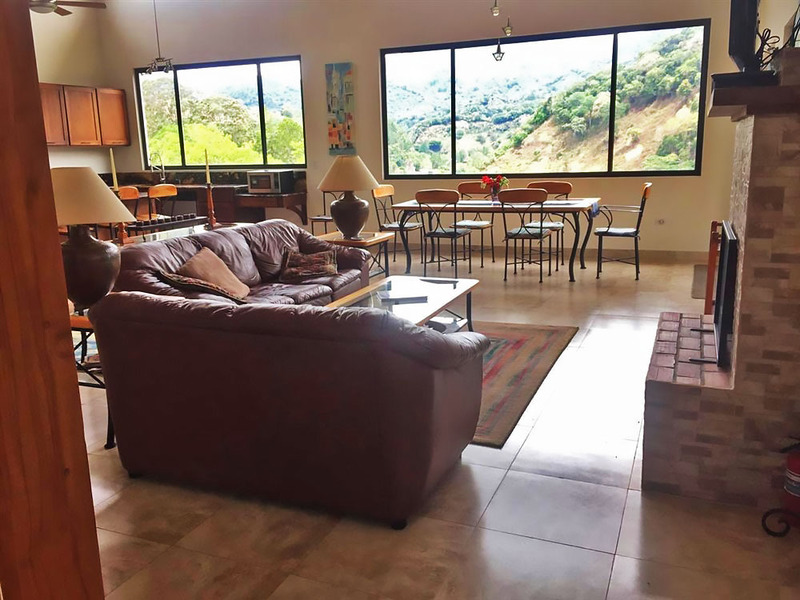 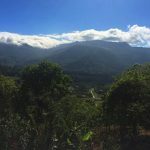 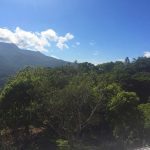 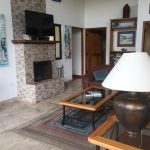 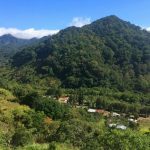 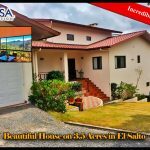 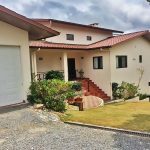 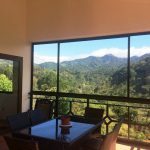 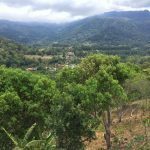 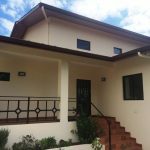 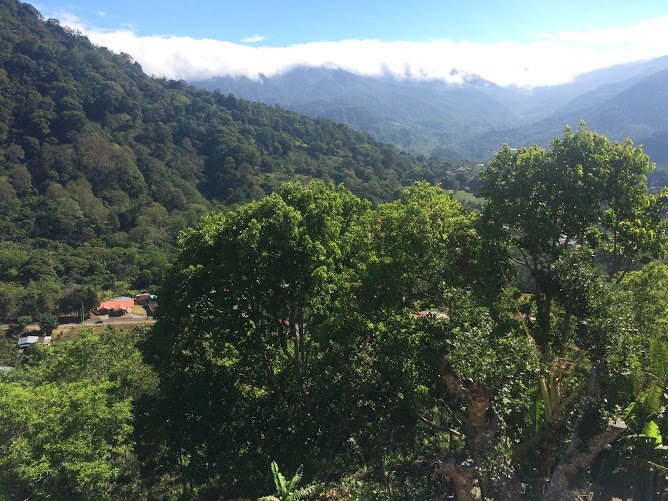 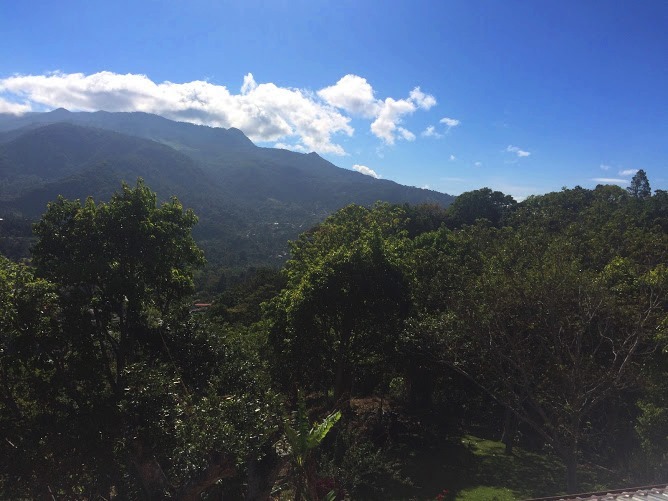 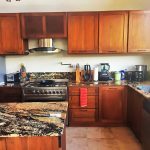 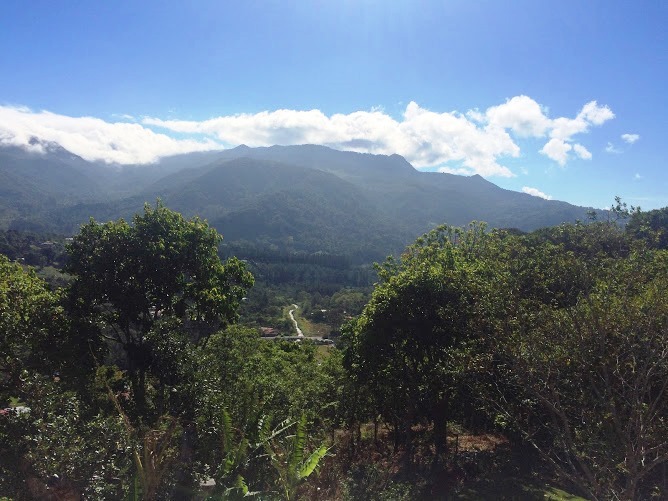 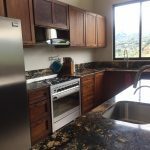 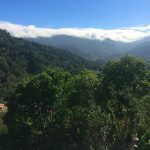 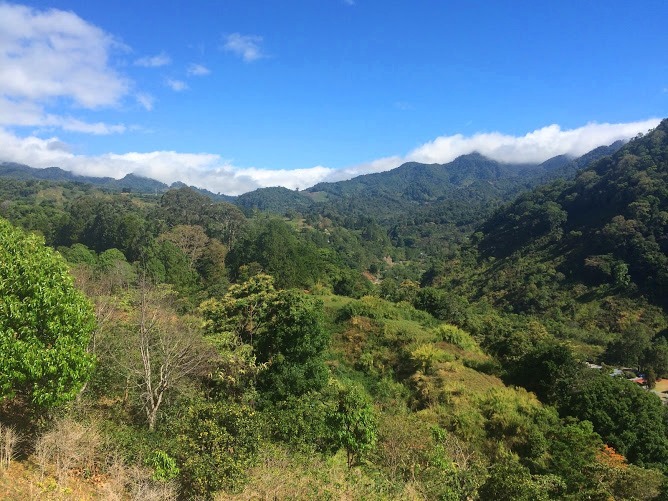 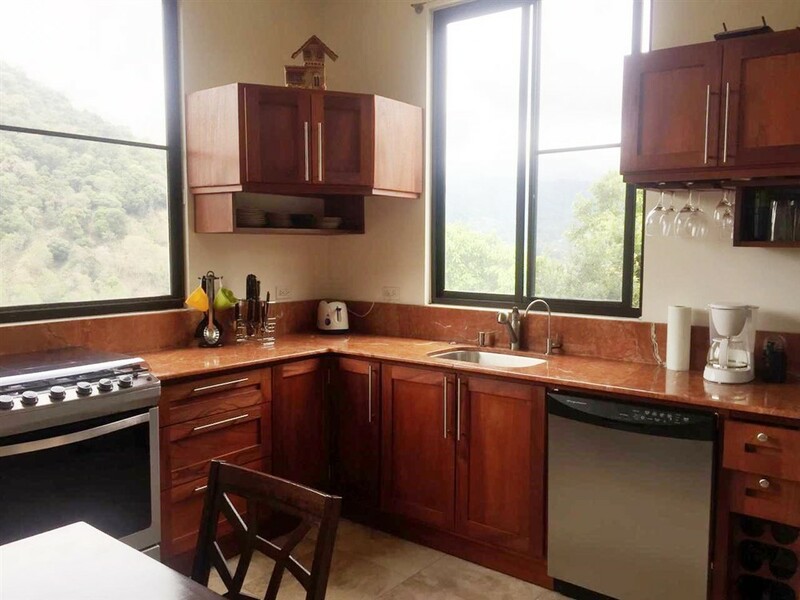 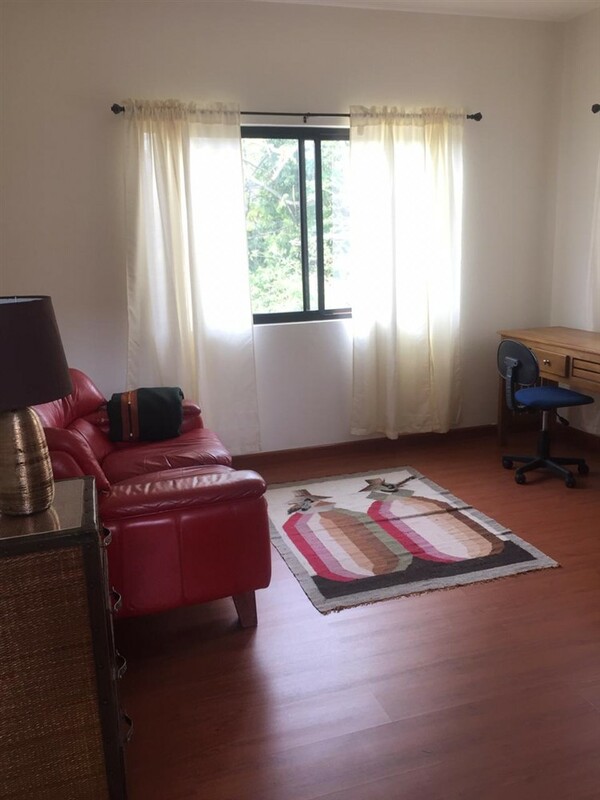 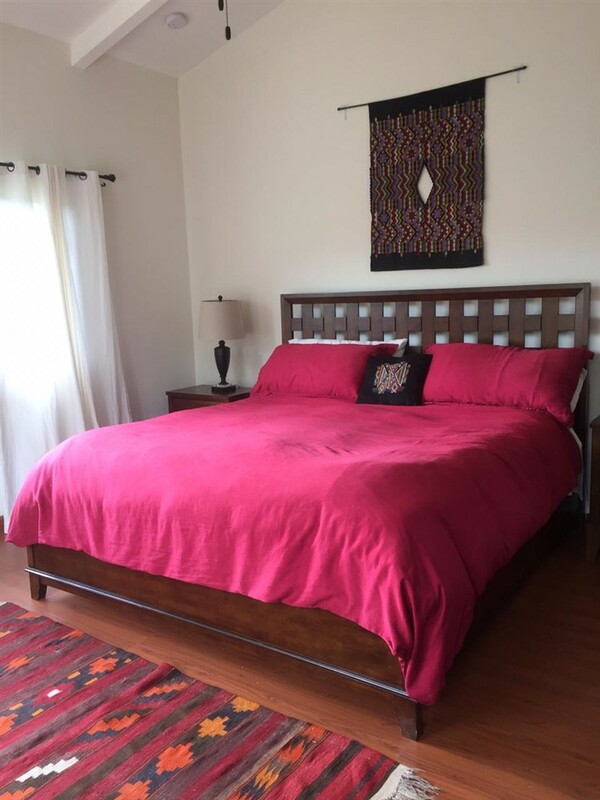 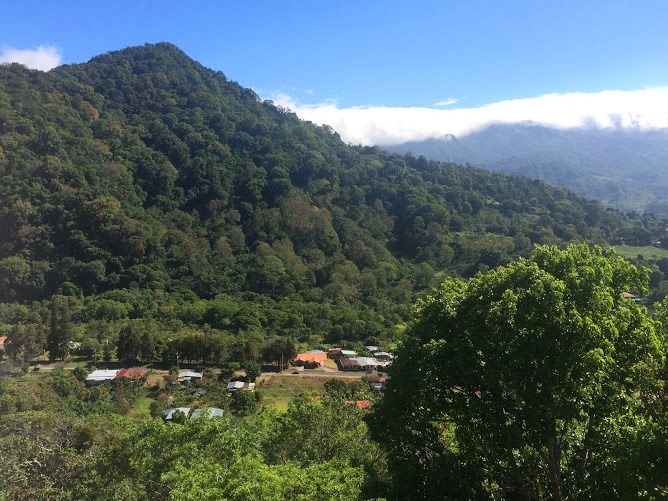 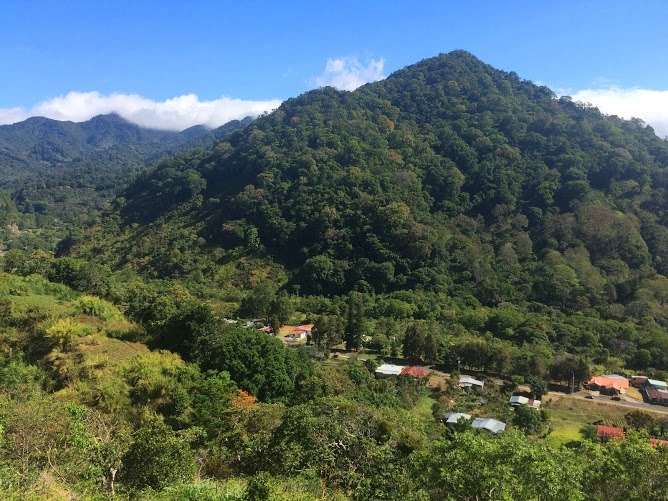 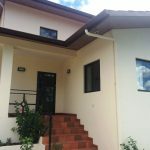 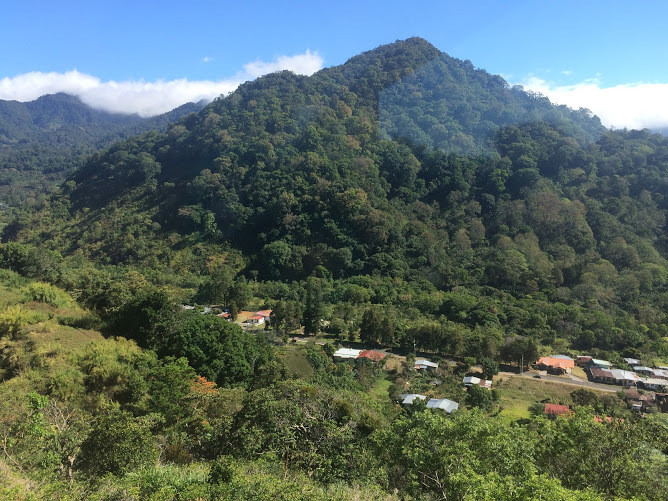 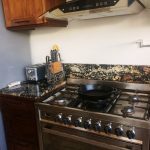 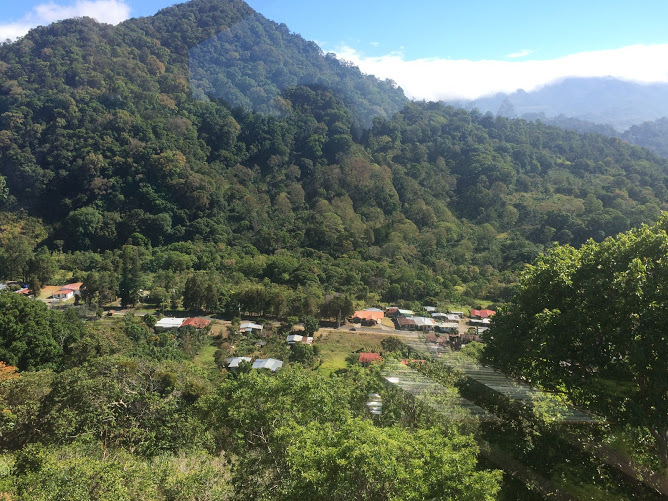 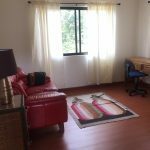 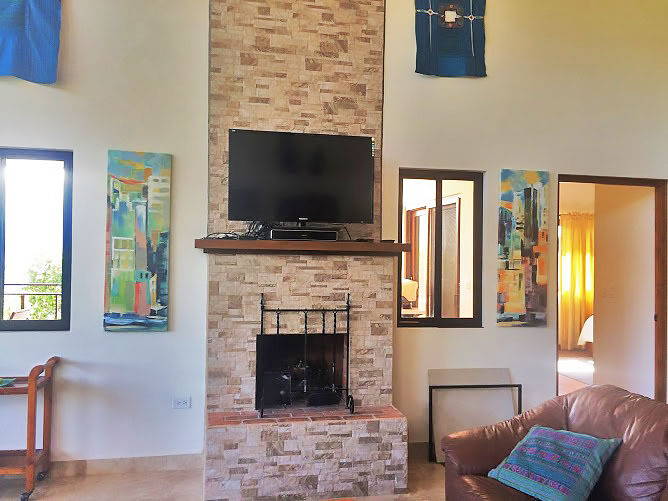 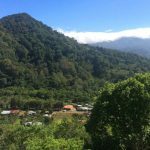 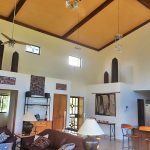 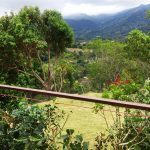 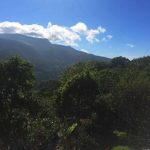 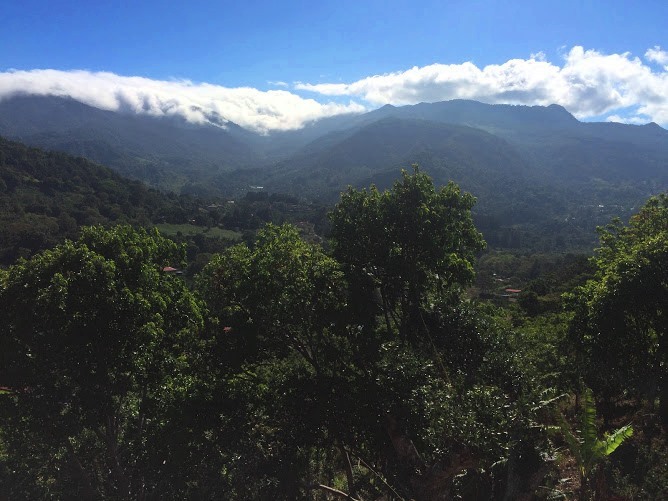 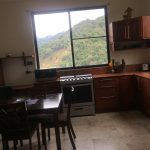 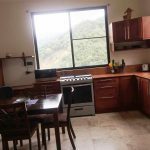 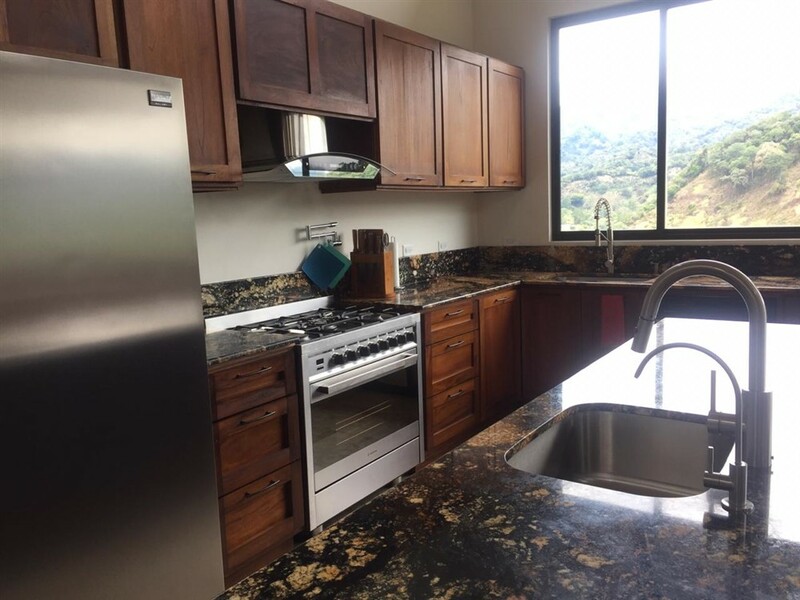 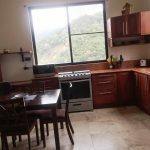 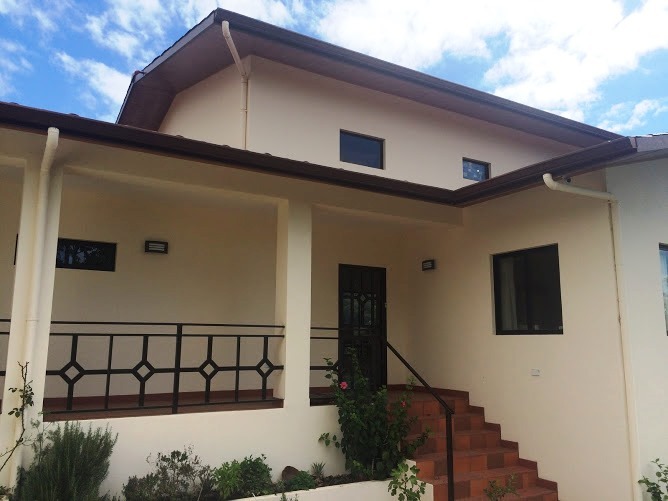 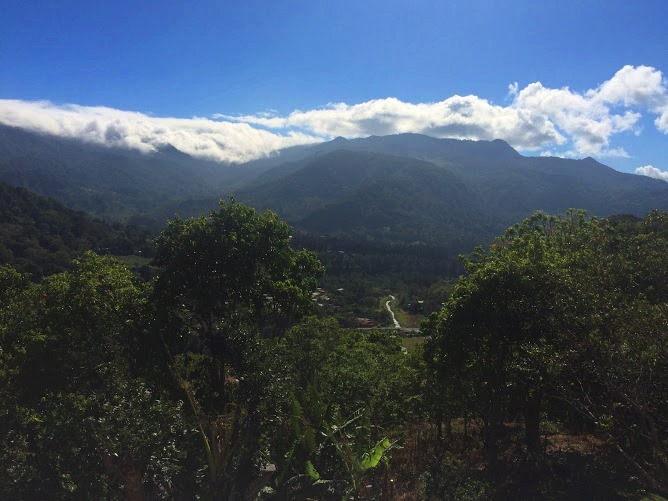 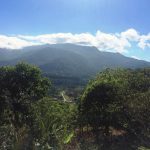 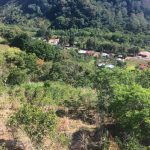 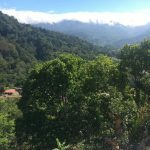 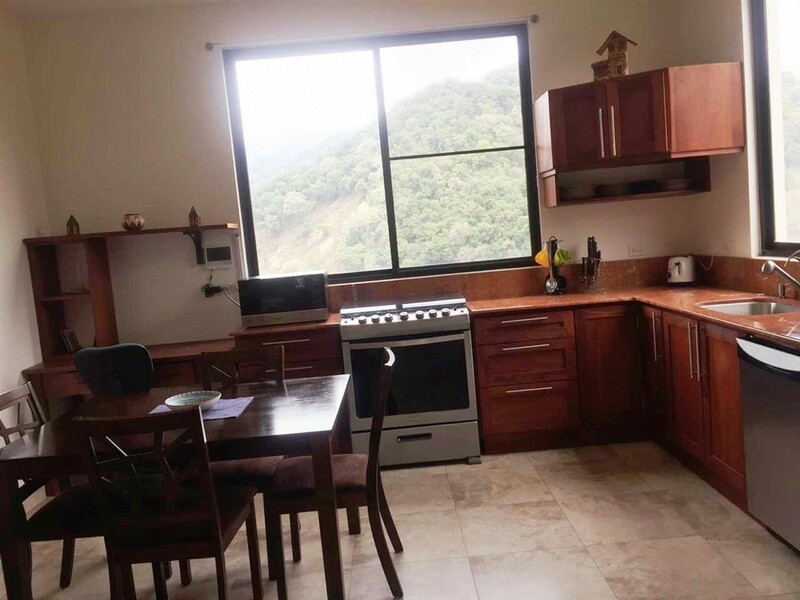 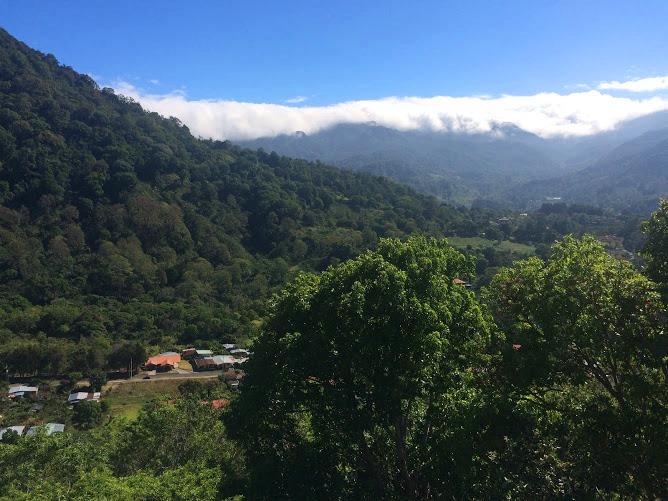 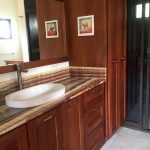 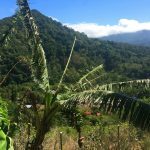 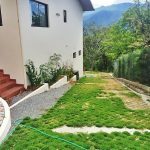 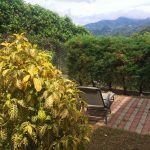 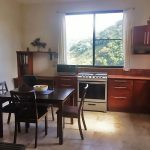 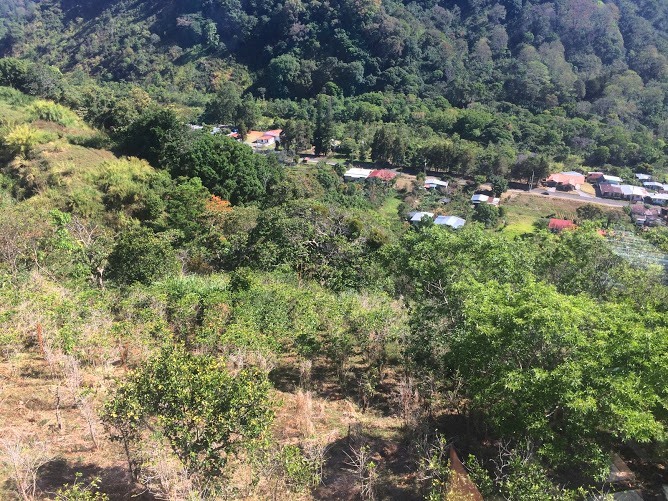 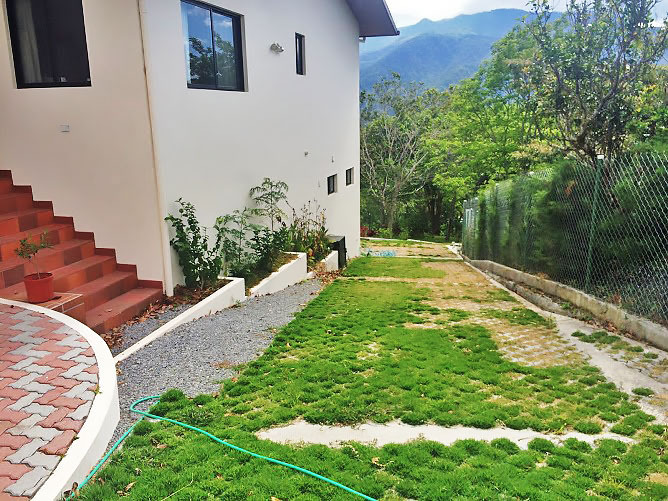 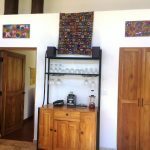 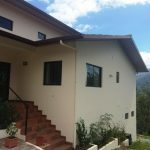 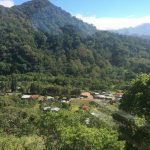 Please contact Casa Solution for more information or to view this Beautiful House with Incredible View in El Salto, Boquete, Panama.